When Did Cheaper Become Better? Once upon a time, not so long ago, quality was king. 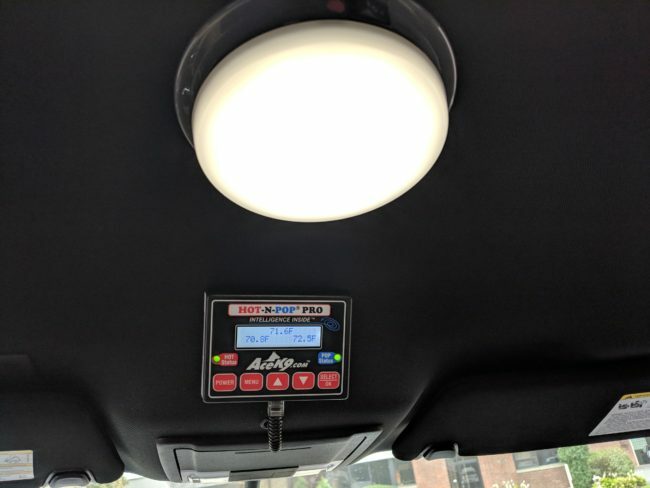 And businesses seeking to obtain or replace a product sought out items of the highest quality, with the understanding that whatever they were purchasing, whether it was a computer, an air conditioner or a vehicle, it would function as expected and serve them a long time. Consumers understood longevity — and with automobiles, the resale value of the product and longevity were key factors in the investment equation in decision-making. For years, buyers followed the mantra “faster, better, cheaper” knowing that you could only expect two out of three of these qualities in any good transaction. It might be faster and better, but it couldn’t be cheaper as well. 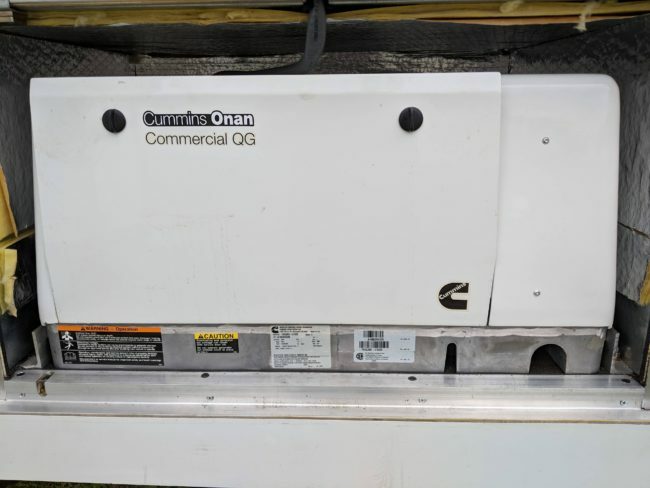 If you went with faster and cheaper, you might not get the wear out of the product that you would have if you had purchased a more expensive option. 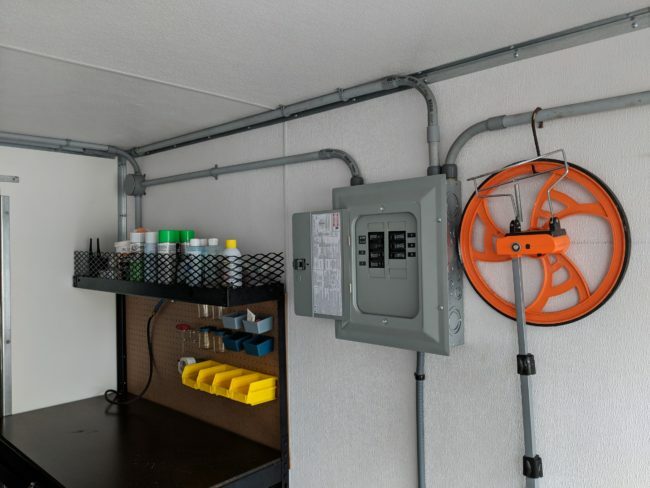 And lastly, going with better and cheaper might mean you’d have to wait for products and service – a small “mom and pop shop” may make a good product, but will undoubtedly take longer to produce than a high volume operator. The common thread here, is cheaper is rarely the best option. Some time ago, New York State determined it was best to have a state bid system allowing all divisions to purchase from one contract or bid apparatus. 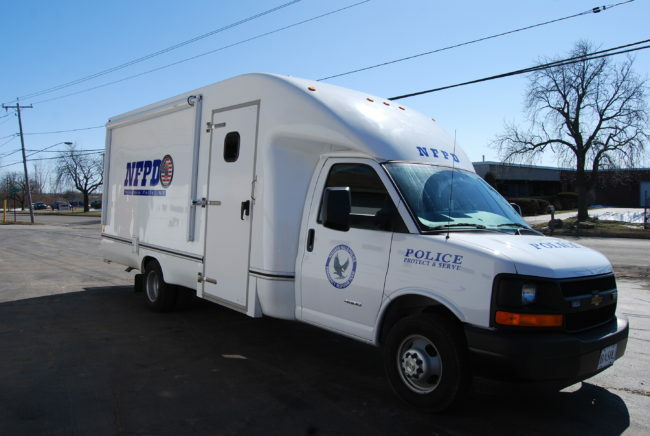 This was a transparent process that meant to give all vendors a fair shake. 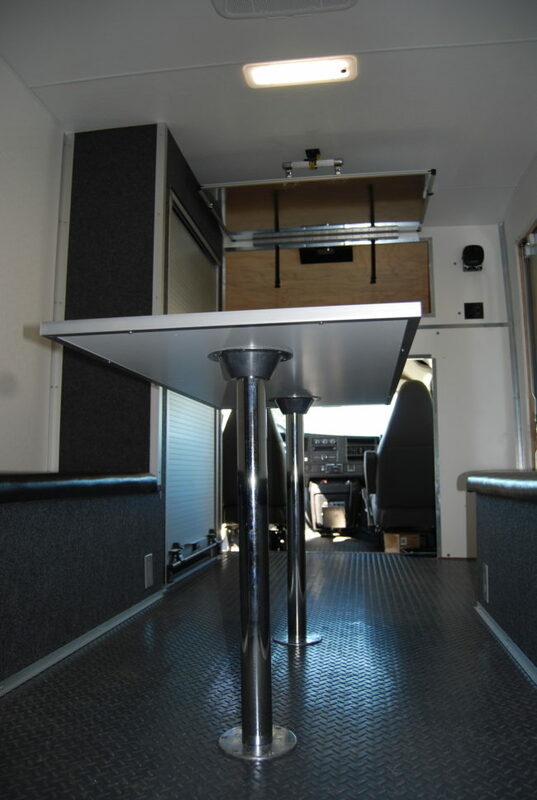 But we all know that often times the cheapest option will not meet customer expectations. 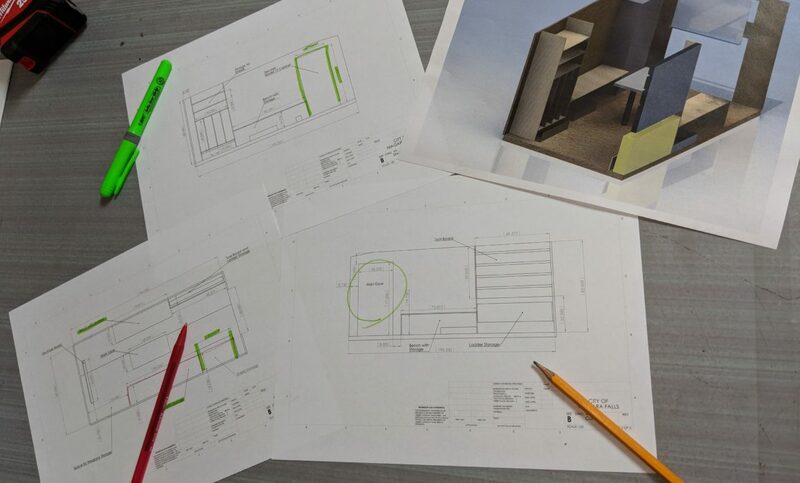 Small items can be missed on the specifications, or the quality of the components won’t be up to standards. This system only works if everyone is bidding the exact same component, but most of the time, that is not the case. 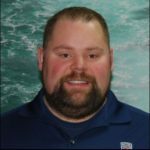 There’s a lot that should go into determining the best-valued bid, such as the past performance of the vendor as well as the reliability and track record of the manufacturers who are the supplier of the parts and pieces that make up the product. Once again, quality counts. Another problem with this system is that the end user may not be totally informed when it comes to understanding the components’ value. 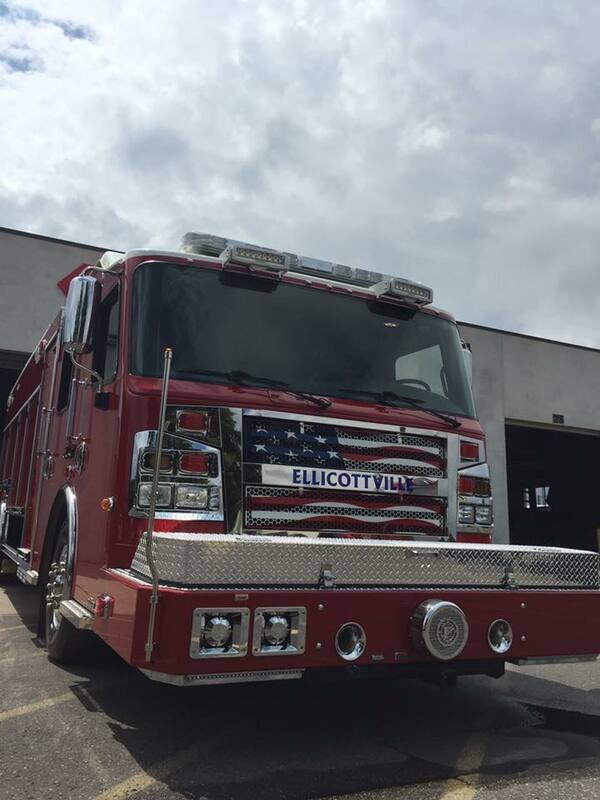 This is why Empire Emergency believes it is vitally important to educate our customers as to what they are getting – which in our case is quality, quality, quality. Again – better beats cheaper by a long shot. It’s unfortunate that many times, customers using this open bid format have been shortchanged. The items purchased did not measure up. Equipment failed. 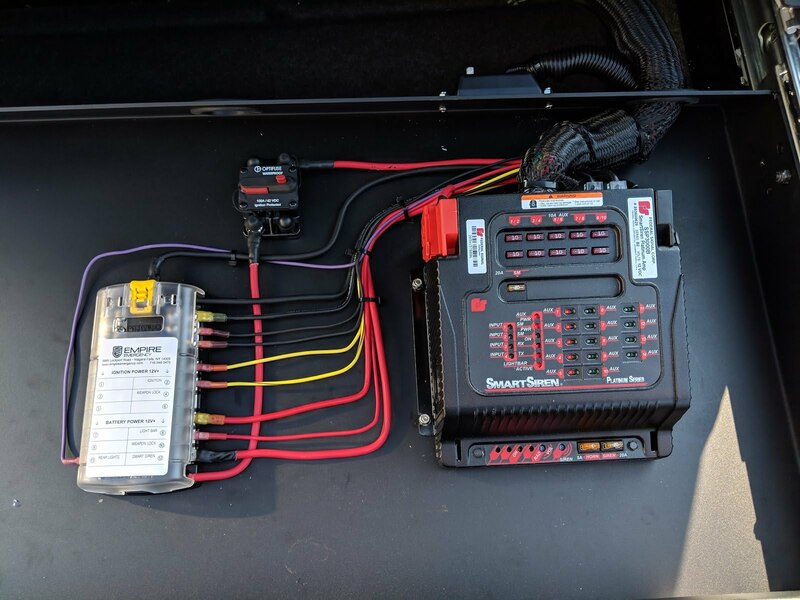 And when the service call was put out, it turns out that cheaper was not faster or better. 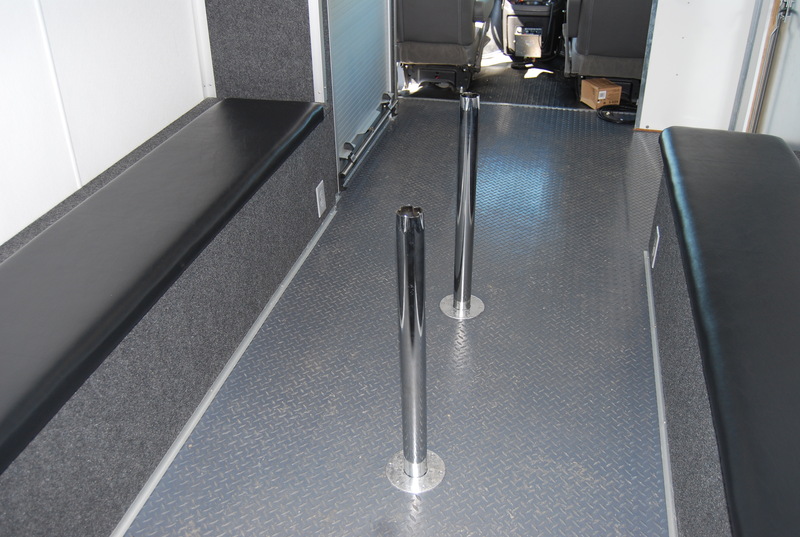 At Empire, we pride ourselves on the whole package – high quality products, great value, and exceptional service. 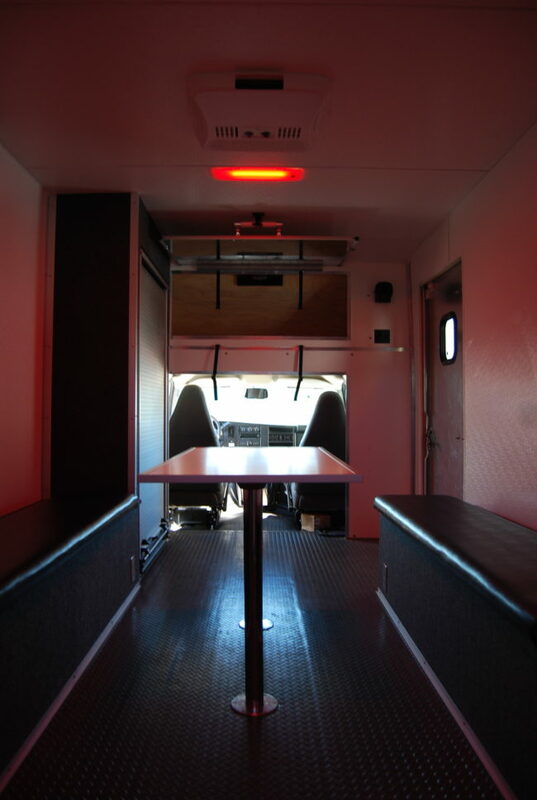 We understand every aspect of custom vehicle upfitting from headlights to taillights and everything in-between. 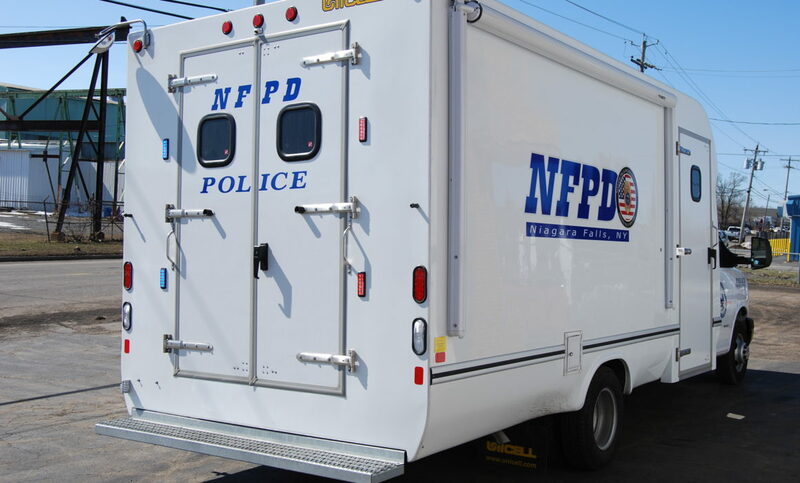 For more than a decade, police and fire departments of all sizes have put their trust in our products and services. 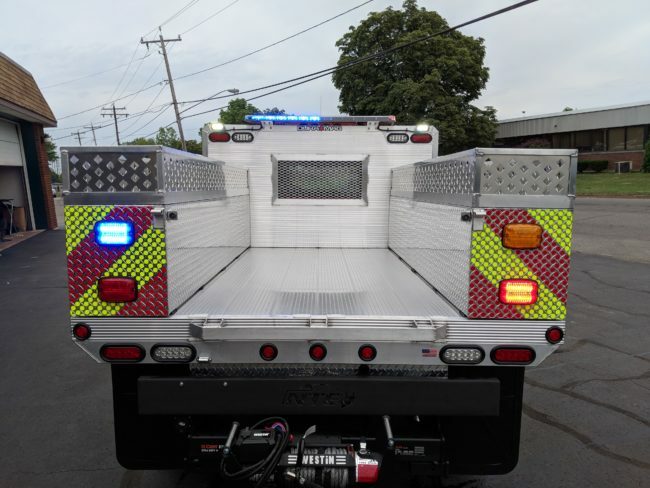 Rescue officials and DPW decision makers have returned again and again, because as emergency vehicle upfitters, Empire consistently strives and delivers on exceeding expectations. 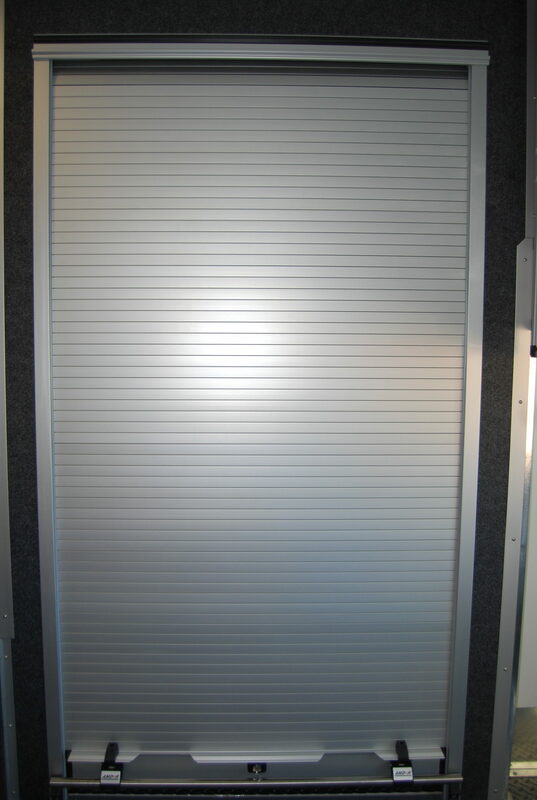 Our inventory reflects industry standards and innovations. 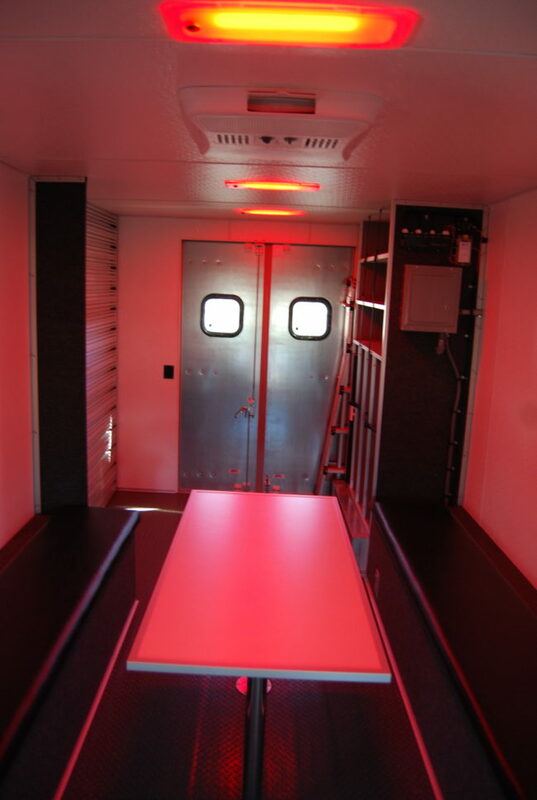 Our EVT-certified technicians are highly trained and experienced. I don’t remember the exact moment when cheaper became the new “better.” It’s a trend that has crept into every aspect of life, from buying clothing and furniture to eating fast food. 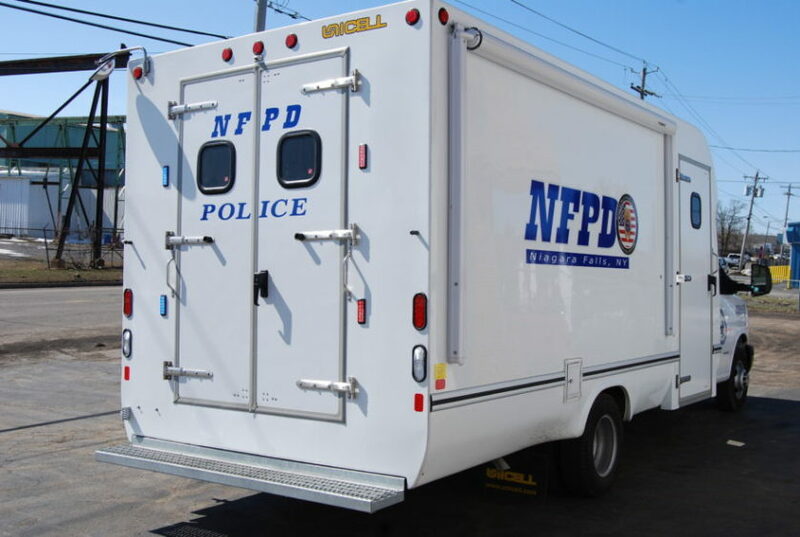 I do know that it’s not a wise decision to go with cheaper over better when it comes to transportation and especially with vehicles that are used by the women and men who protect and serve the public. I’ll take better and faster any day of the week. Quality will always be our number one priority at Empire Emergency. 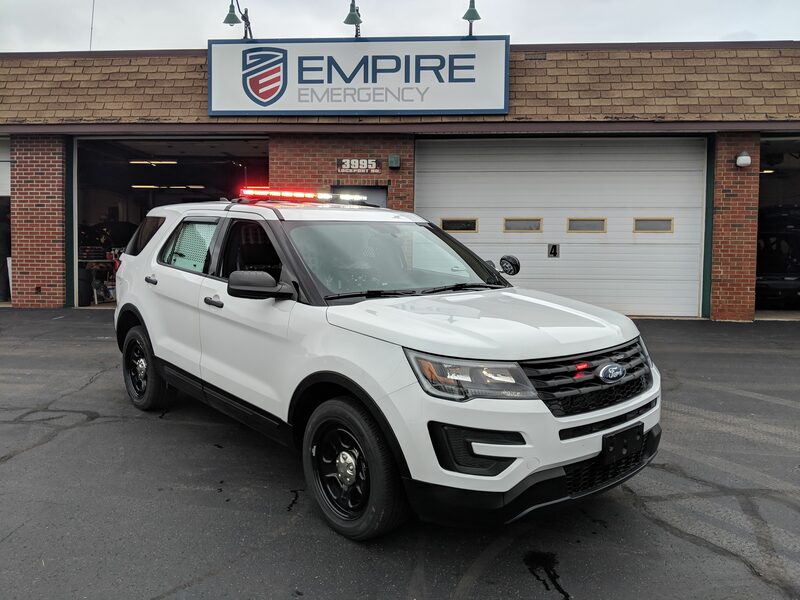 Empire Emergency is your trusted provider of highly-customized emergency vehicle installations that ensure the effectiveness and safety of the men and women who protect and serve our communities. 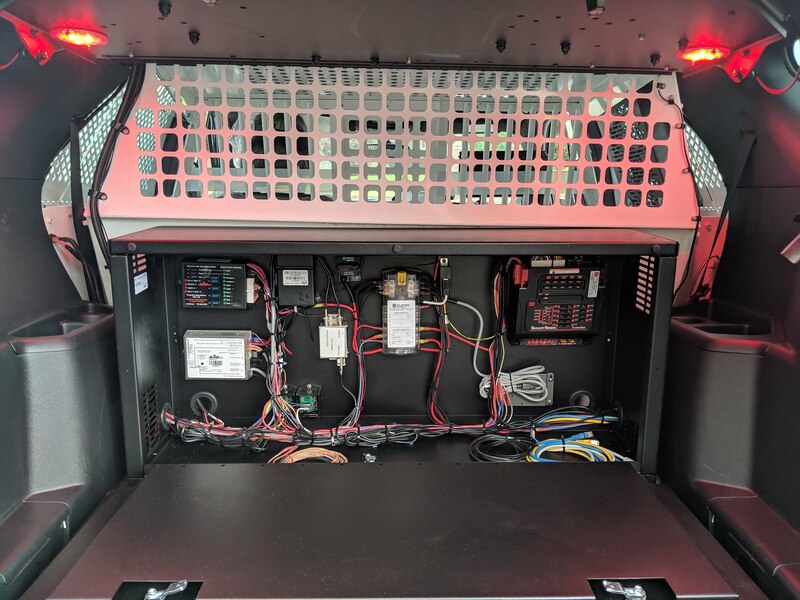 Empire’s emergency vehicle upfit solutions enable fire, police, and rescue teams of all sizes to perform quickly, efficiently, safely, and secure in the knowledge that their equipment is both expertly installed and inspected with meticulous attention to detail. These are the Solutions That Matter. 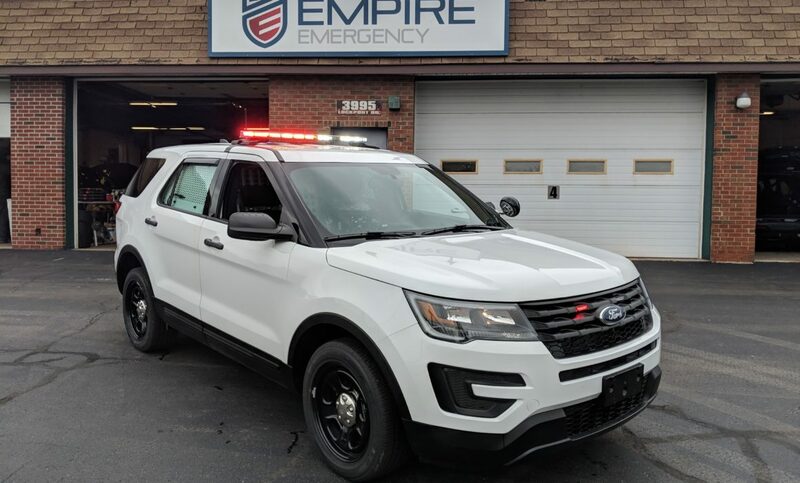 When the Rochester Police Department selected us to outfit four Ford Utility Patrol Units for their K-9 officers, the team at Empire Emergency was highly honored. K-9 unit officers are a special breed, as the officers must perform their usual duties in addition to being expert animal handlers. 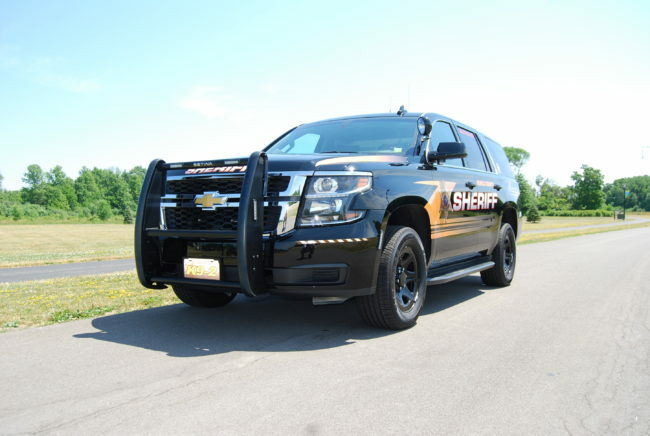 It takes both a natural ability as well as a great deal of training to become a K-9 officer. And it takes a very special dog to team with and perform the duties of a police dog. The law enforcement vehicle equipment utilized by K-9 units is just as specialized in its design and function. 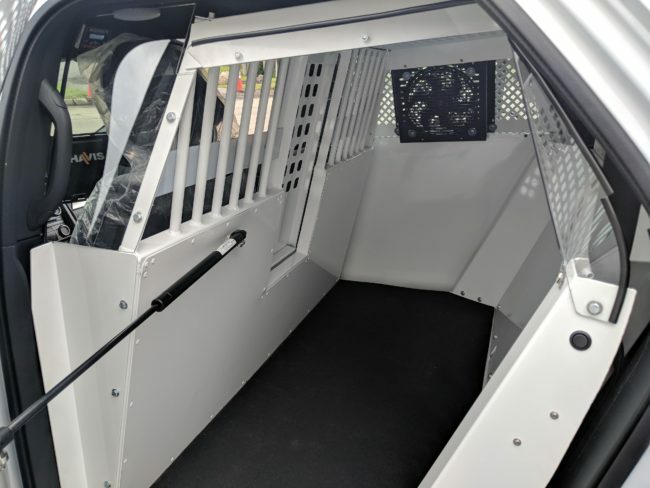 As emergency vehicle outfitters, Empire approaches police car equipment and especially canine equipment, with an eye on the highly specific nature of the unit’s daily needs. As with all police vehicles, officer safety is paramount in addition to seamless functionality. Police officers spend a lot of time in their vehicles, patrolling and responding to citizens’ needs, so comfort is also a big factor. 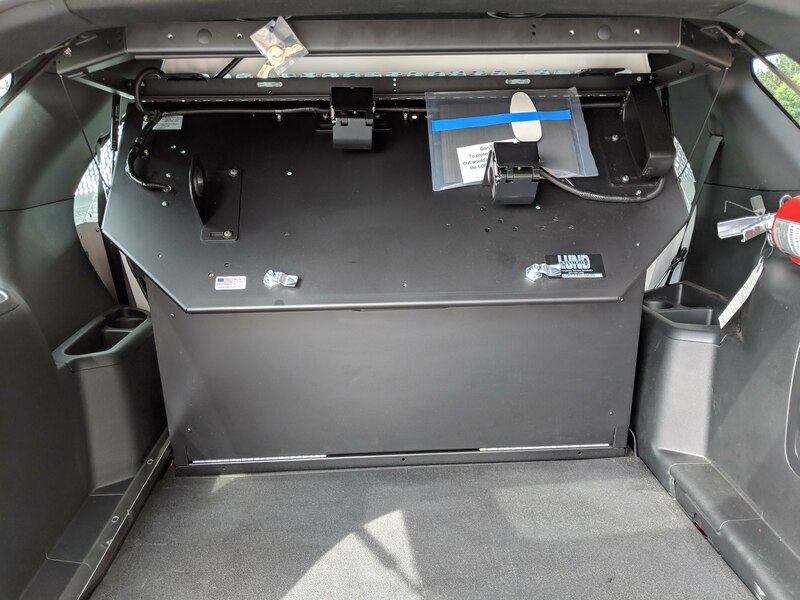 Empire also knows from our years of experience with police vehicle upfitting, weapons and other equipment must be safely secured while readily accessible. 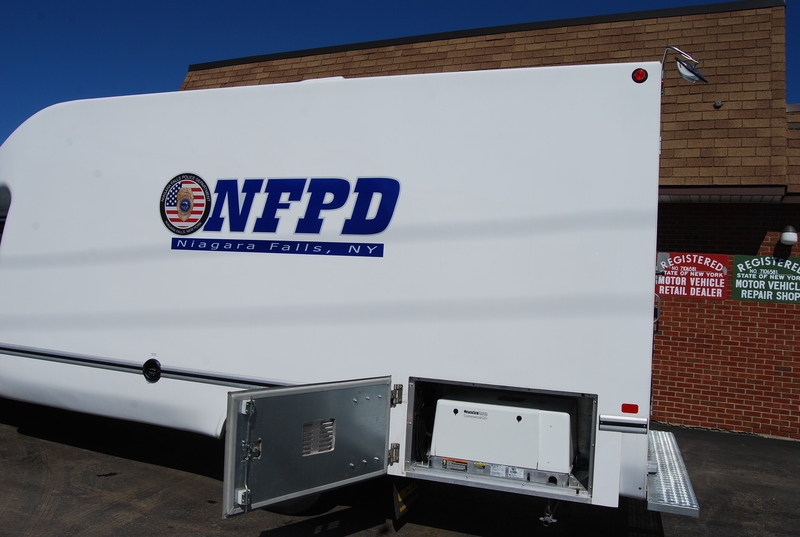 These are the challenges we faced front and center as we strove to provide the perfect solution. 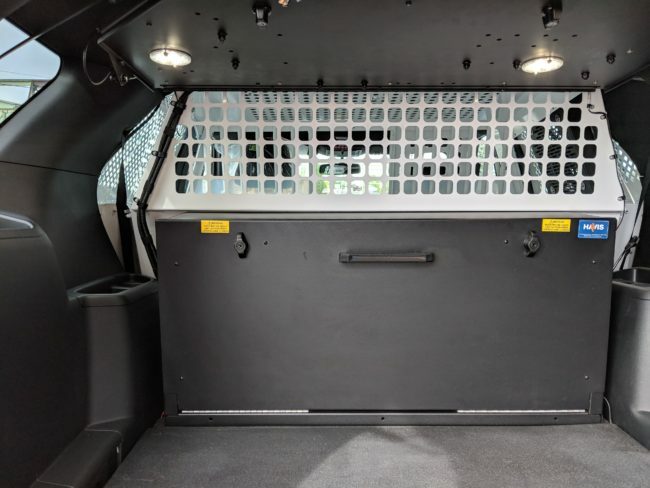 For the Rochester K-9 Units, we provided complete containment of the electrical system using a Havis electrical storage cabinet, which allows easy access while protecting vital components from damage. We recommended and installed a flat-to-dash computer monitor system with an easily accessible keyboard. 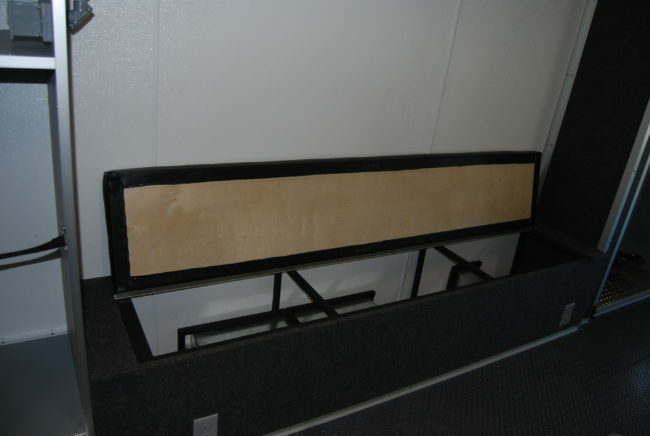 And last, but not least, a Lund “Loft” weapons storage system that allows for ease of deployment while it protects the equipment from dog dander, hair, dirt and public access. 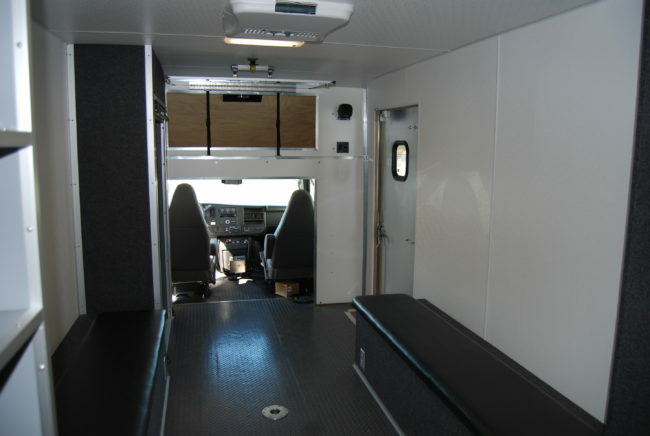 We not only approach the job as emergency vehicle equipment suppliers, but also as upholders of our customers’ safety and comfort. We take great pride in knowing that when we’ve done our job, the public servants we work with can do theirs – and do it well. 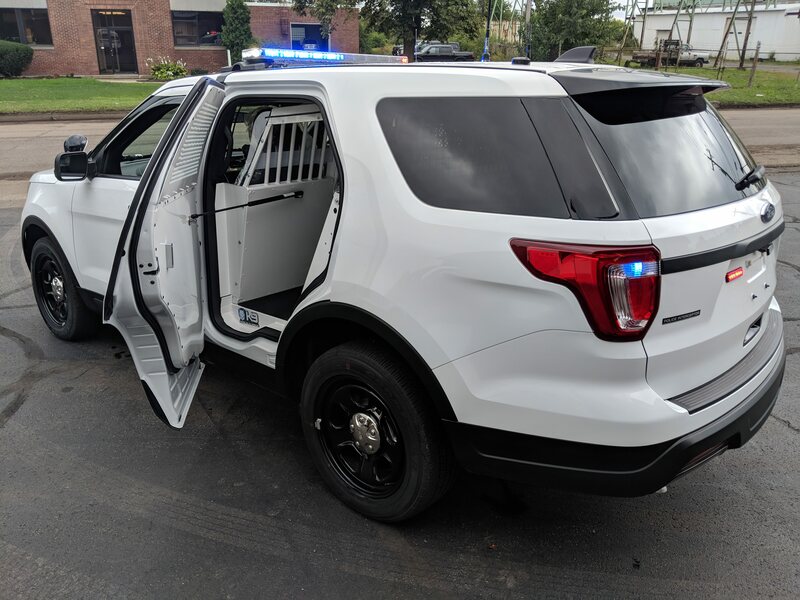 We value the trust the Rochester Police Department placed in Empire Emergency and are confident that the K-9 Unit officers and their canine partners are well equipped to face their daily challenges, protecting and serving their community. 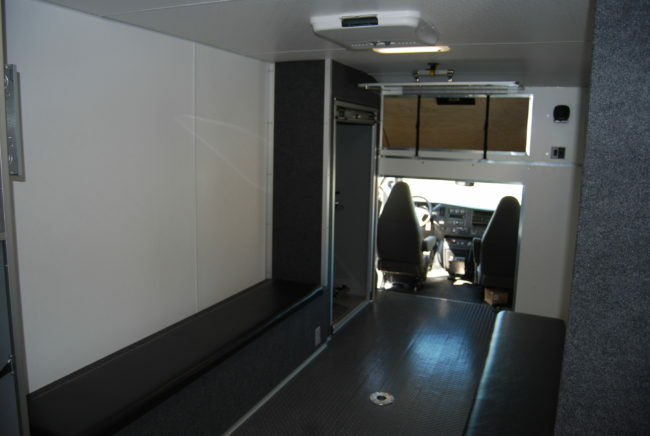 We love it when we exceed our customers’ expectations in terms of custom vehicle outfitting solutions and outstanding service. 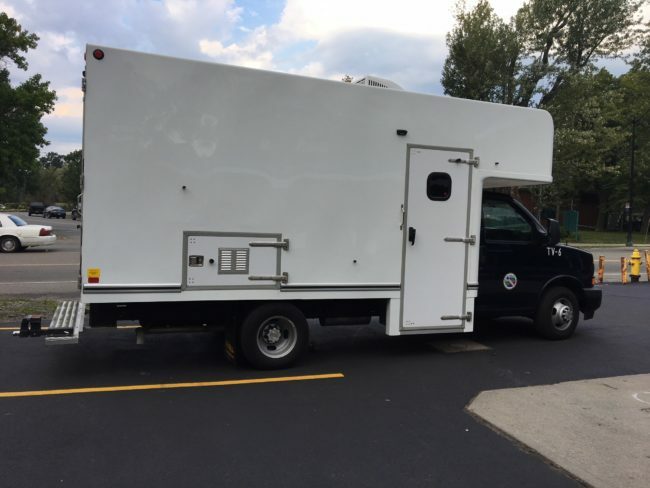 When Empire Emergency was approached by the Erie County Sewer District for a DPW vehicle upfitting project with several specific requirements, we rolled up our collective sleeves and looked at the project holistically and creatively. As the region’s premier emergency vehicle outfitters with a proven track record, we were selected based on our history of delivering the highest quality solution while keeping within the agency’s budget. The Department of Public Works has a big job to do, keeping the county’s roadways and bridges safe and functional, as well as maintaining county-owned facilities and equipment. This is no small feat when you consider it operates and maintains the sewer system in numerous towns and municipalities, many with highly populated communities with multiple needs. 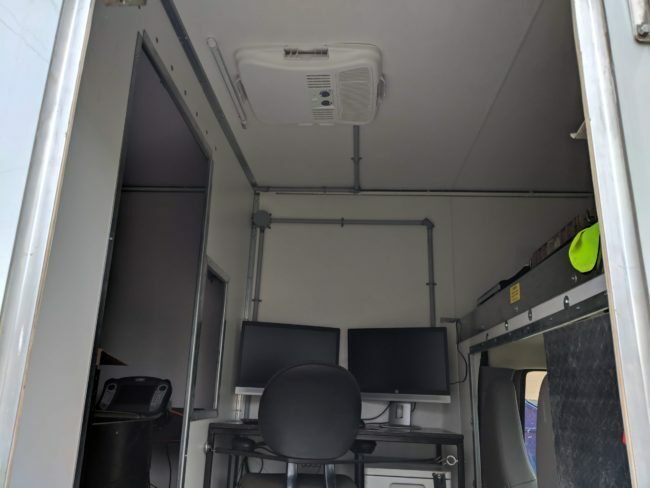 The county’s DPW fleet management made it clear that this customized vehicle needed to provide both operator comfort as well as a clean space for computer work and cameras. And considering the unit could be deployed at any time of day or night, effective lighting and a quiet generator (so as not to disturb sleeping citizens or active businesses) were key factors. With Erie County’s notoriously cold winters and hot summers, an efficient and reliable HVAC system was also a priority for the department’s staff. 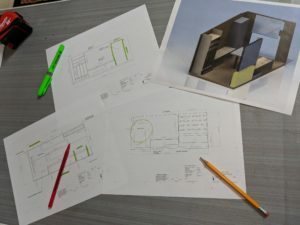 Our team took to that challenge like ducks to water – working together to provide the solution to our client’s somewhat complicated needs. 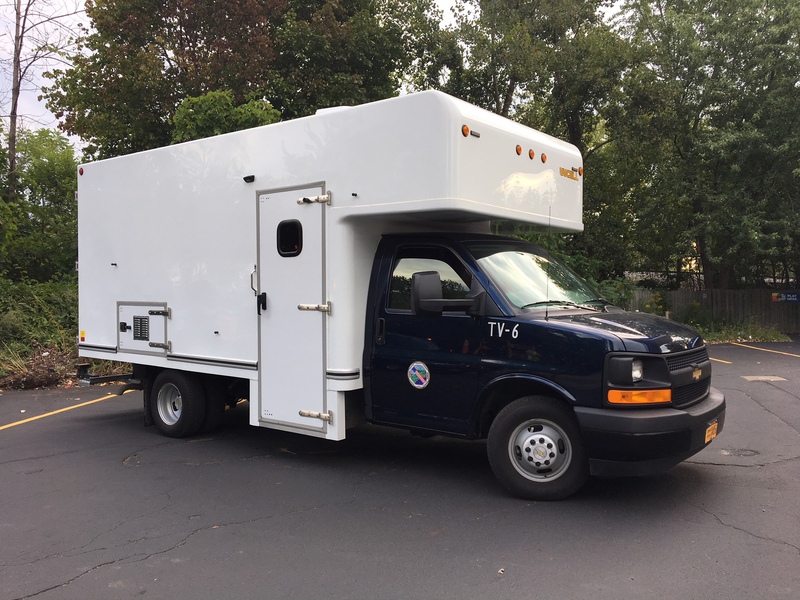 Empire Emergency delivered a custom DPW vehicle that checked all the boxes, also providing ease of service and local availability for parts. 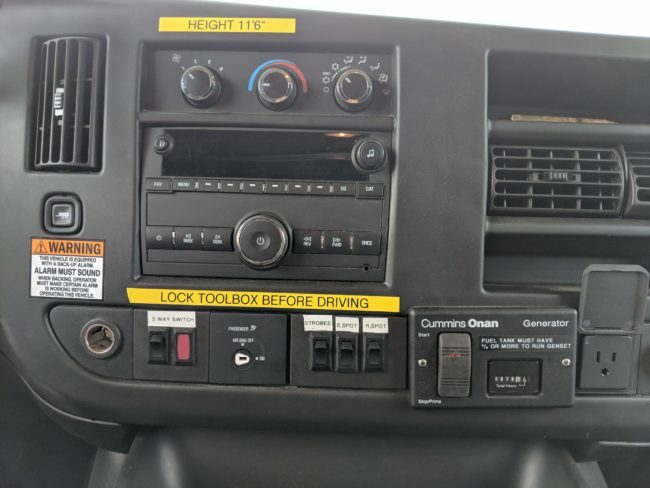 We understand from our clients that this particular vehicle is so popular, there is competition among the staff as to who gets to operate it on a daily basis! Repeat business is something we’re very proud of. 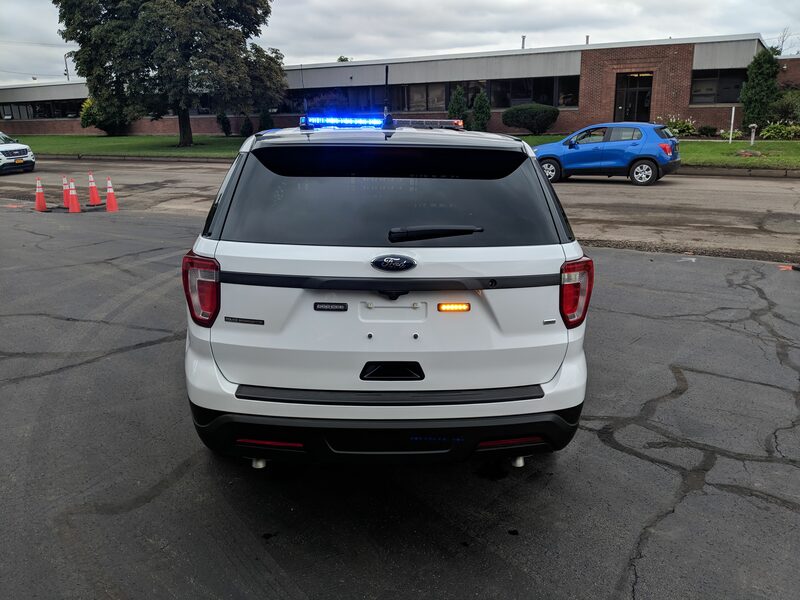 And we’re grateful to the Erie County Sewer District for continuing to put their trust in our team. 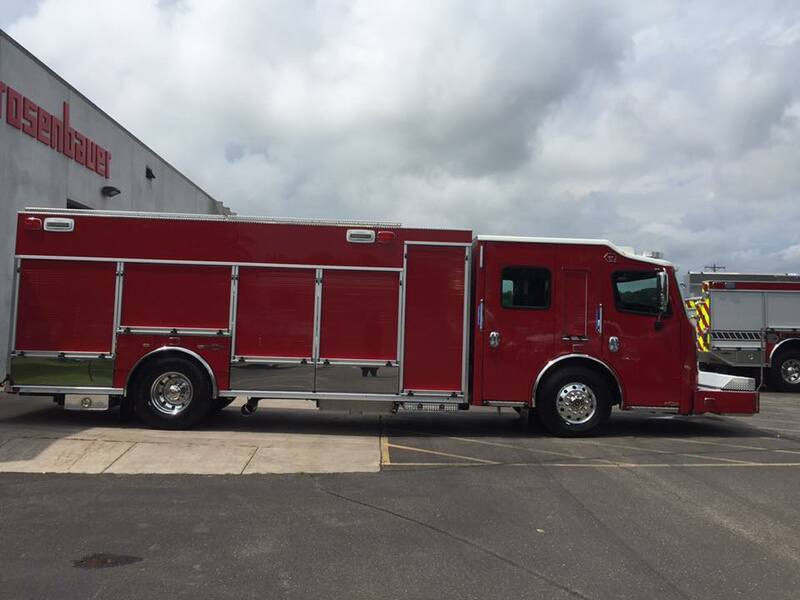 Empire Emergency takes great pride in the custom fire trucks that we deliver to our customers. 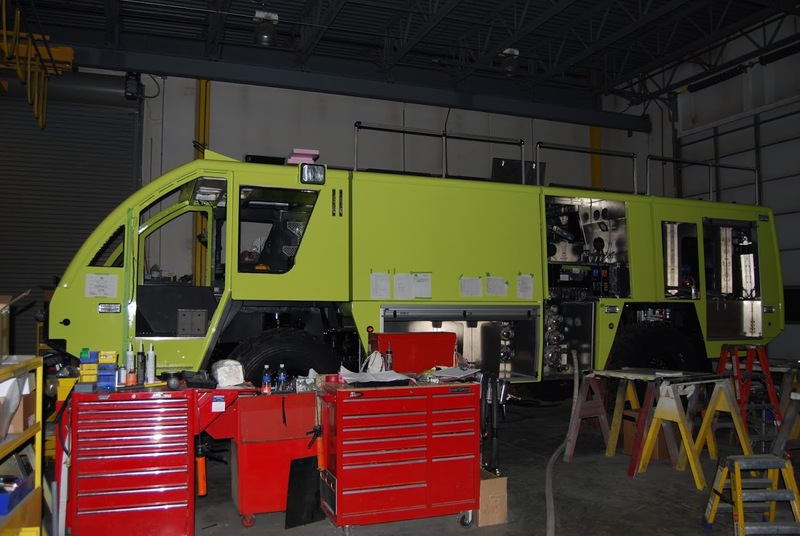 We strive to provide custom fire apparatus that specifically fits our clients’ specifications, and the process starts by listening carefully to their needs in order to develop solutions that exceed expectations. 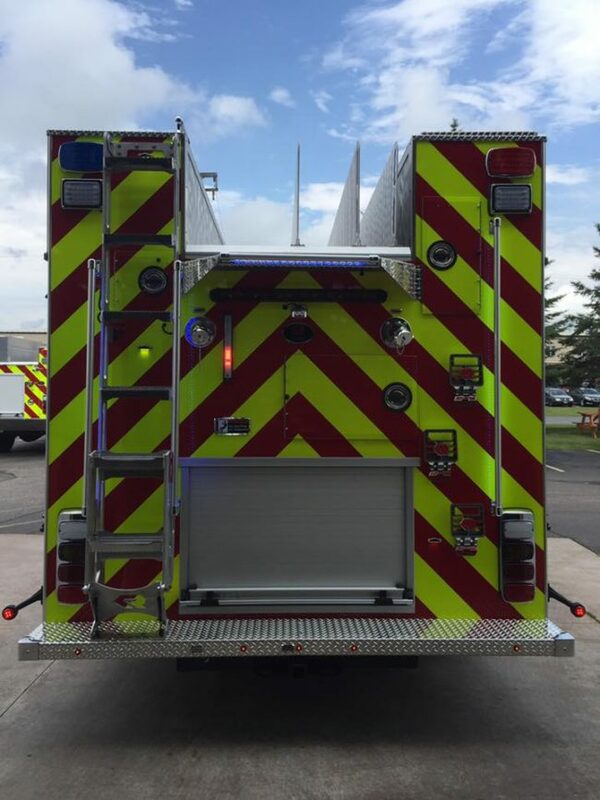 Our team works hard to design and deliver both exceptional products and service, building relationships that make us the emergency vehicle outfitters of choice to departments in urban, suburban and rural communities. 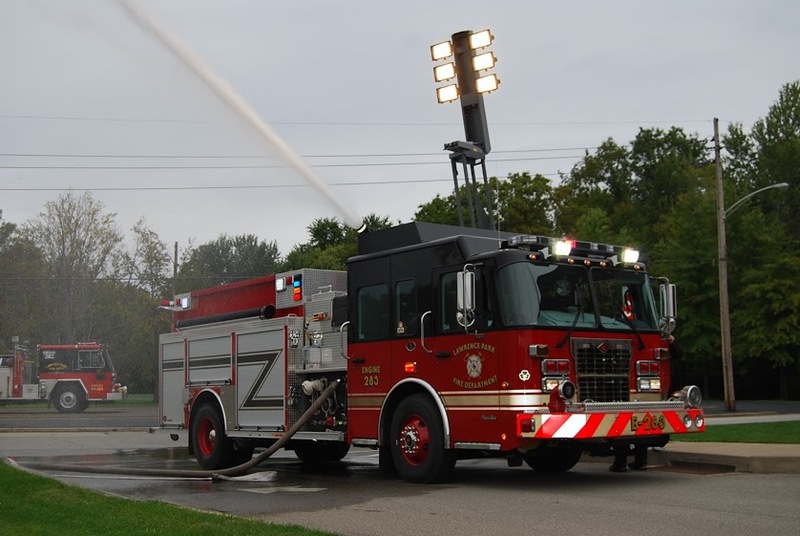 Fire truck manufacturing companies, ladder truck manufacturers and fire tanker manufacturers offer a dizzying array of options, and our customers often ask for suggestions to help sort out what’s critical and what’s more or less, optional. 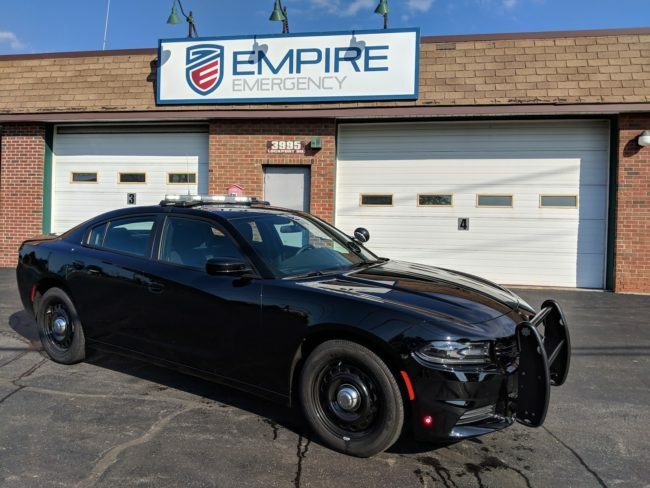 Empire Emergency’s team is mindful of the need to keep within budget and not be dazzled by add-ons that may be nice to have, but are not necessities. 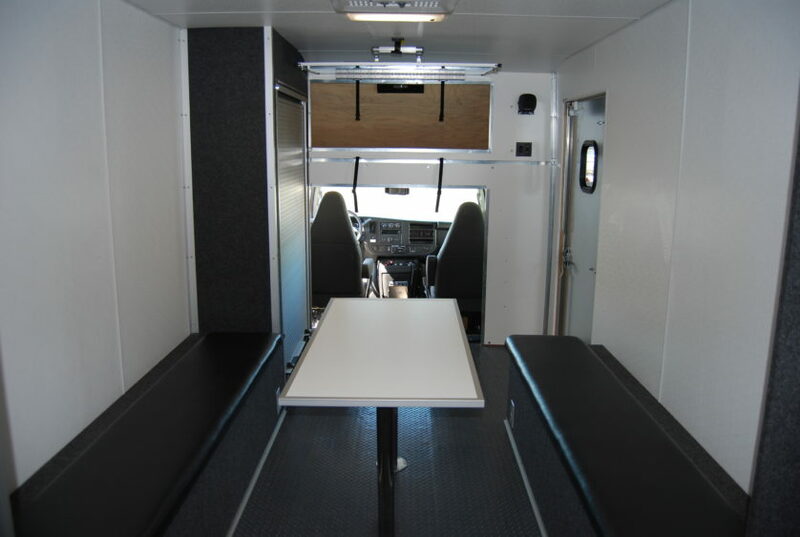 In short, we build a highly customized vehicle based solely on your needs and the needs of your community. We listen, respond and deliver a solution that matters. 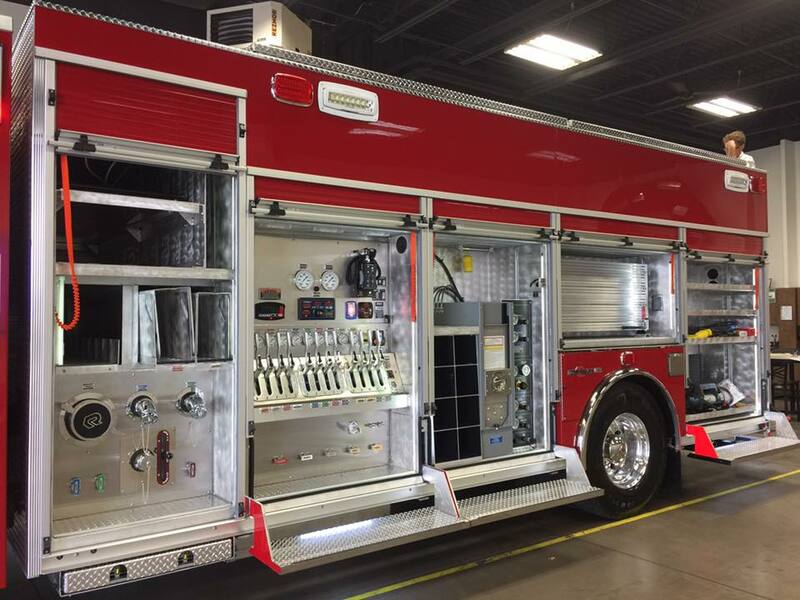 Making the most of your budget while satisfying the safety and efficiency requirements of your department is always our goal. This short list is meant to be the catalyst for a good, productive conversation and to help clarify some basic questions that should be carefully answered before you sign on the dotted line. Know what manufacturers build and how they differ from each other. 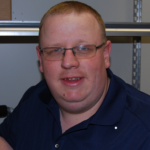 Are there geographical challenges: How do weather and the terrain affect service? 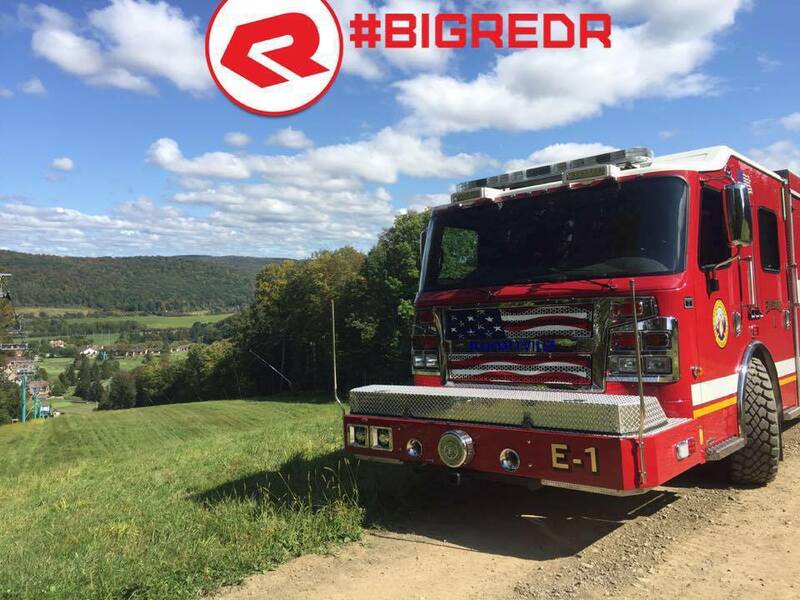 Do you anticipate future growth in your area of responsibility that will bring a new set of challenges? Plan ahead. Are you faced with a shrinking number of members and is their average age getting older? Who operates the apparatus and how does this affect the need for ease of operation with limited people on the fire ground? 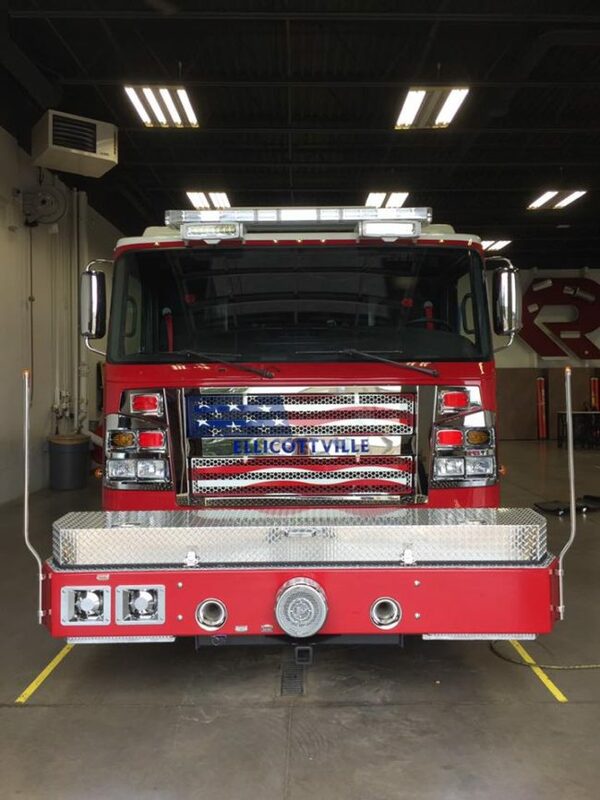 There’s also a terrific article in Fire Apparatus Magazine that discusses a variety of topics relative to fire truck design and purchasing which I think you’ll find applicable — and hopefully enlightening! As always, we’re here to answer your questions on any topic and look forward to working with you. The right equipment makes all the difference. We’ve all heard the term “duty of care” when it comes to public matters in our local municipalities. Particularly when it comes to things like road maintenance, sewer services, and water services. But, have you ever considered how the term applies to a particular community’s emergency rescue equipment? You should. 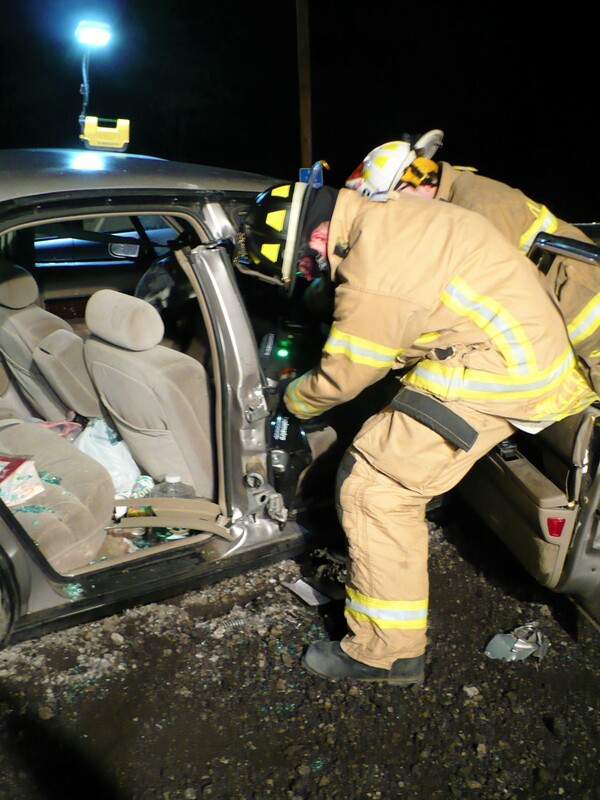 Especially if your department’s vehicle rescue gear is more than a few years old. Accident victims and insurance companies alike have recently begun taking legal action against local governments in cases where it becomes clear that, even though there was a concerted effort on the part of first responders to effect a rescue, their rescue gear was obsolete and unable to move or cut the cobalt steel used in modern vehicle frames. This is something that the Hillcrest Fire Company in the Orchard Park Fire District of New York State recognized early and understands particularly well. 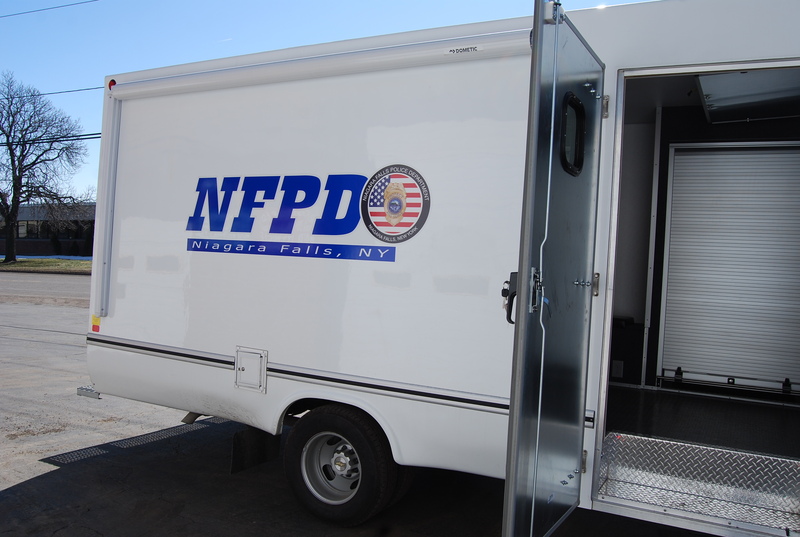 As a suburb of Buffalo, NY, Orchard Park has three volunteer fire companies operating within a single fire district. Within its borders are expanses of wilderness with ravines as much as 10 meters deep, a 72,000 seat NFL Stadium, and a high speed divided multi-state highway, in addition to flourishing residential communities, several large retail plazas, and a portion of US Route 20 which traverses over 3,300 miles from Boston to Oregon. 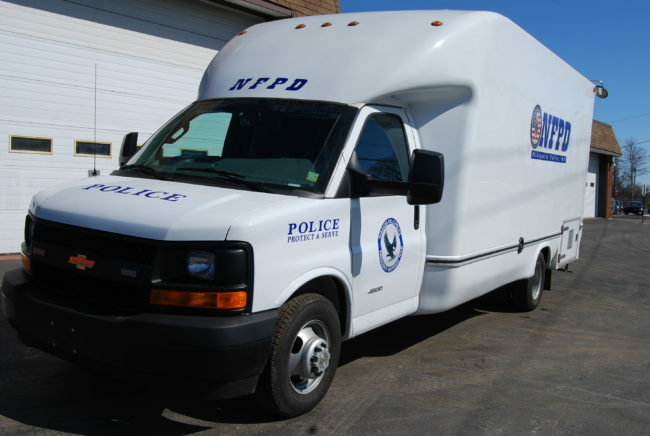 Over 30,000 people travel through the district on any given day, making vehicle accidents an all-too-common event. 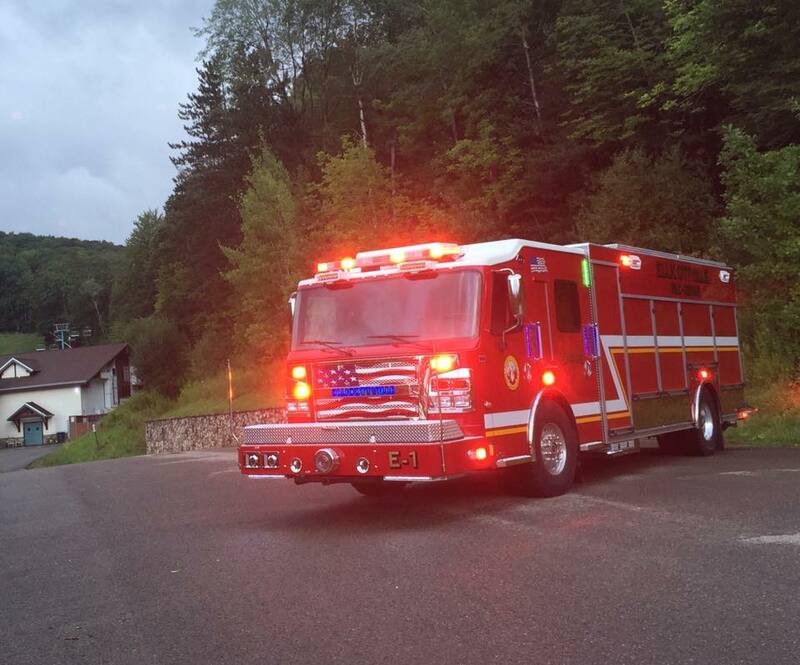 Altogether, this translates into some unique challenges to Hillcrest’s team of volunteer first responders. 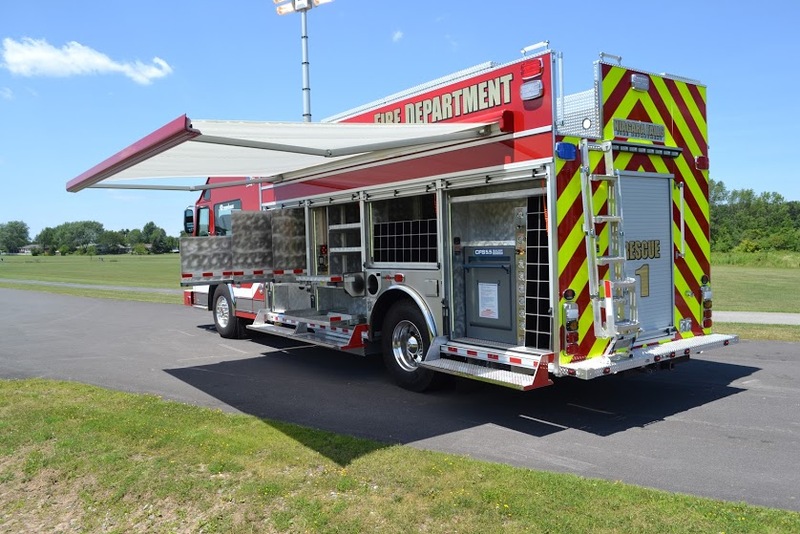 When Hillcrest Fire Company officers and its members considered the increasing number of vehicle accidents in recent years that involved high-end vehicles with the new, stronger metals, they concluded that it was their responsibility to the motorists, tourists, and sports fans traveling in Orchard Park, to invest in improving their firefighter rescue gear. In short, it was time to make their EMTs and emergency response apparatus more effective to meet the changes in motor vehicle structural technology. That’s where Hillcrest’s Captain Ronald Hendershot stepped into the picture. 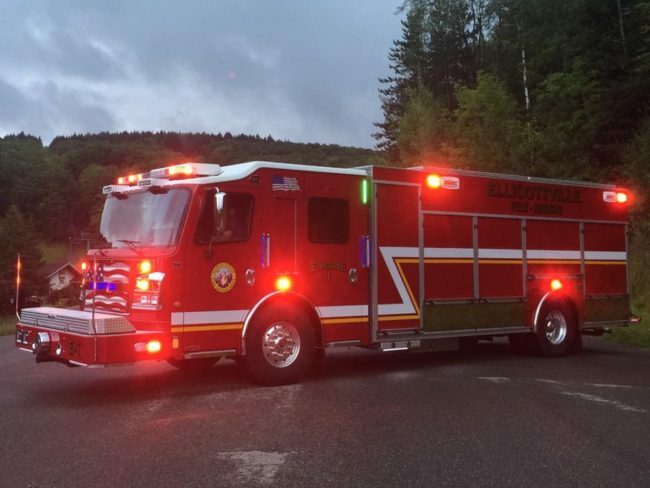 He was tasked with the job of evaluating and recommending the best emergency rescue equipment to meet Hillcrest’s needs. 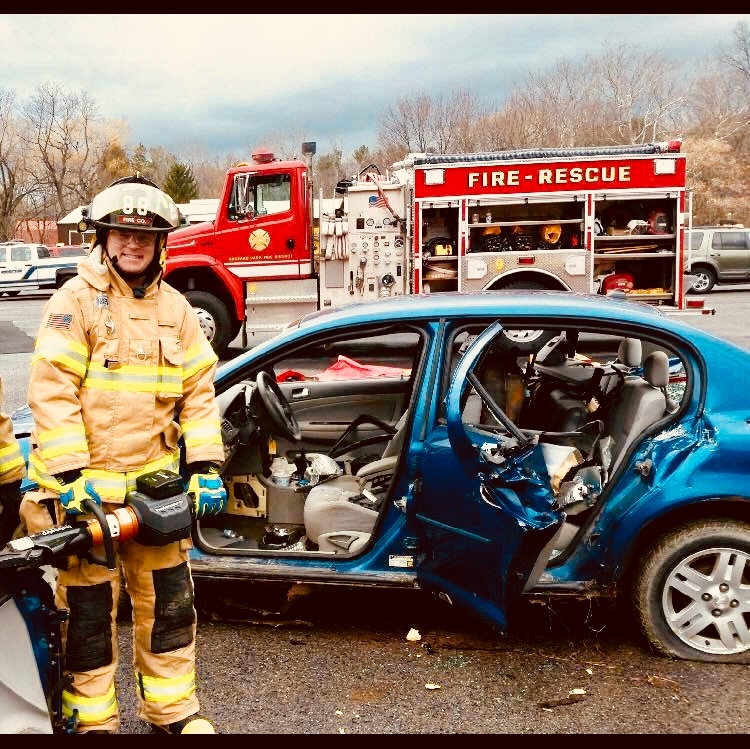 Through extensive research of several rescue equipment suppliers, Captain Hendershot contacted Holmatro, and was then introduced to Empire Emergency. 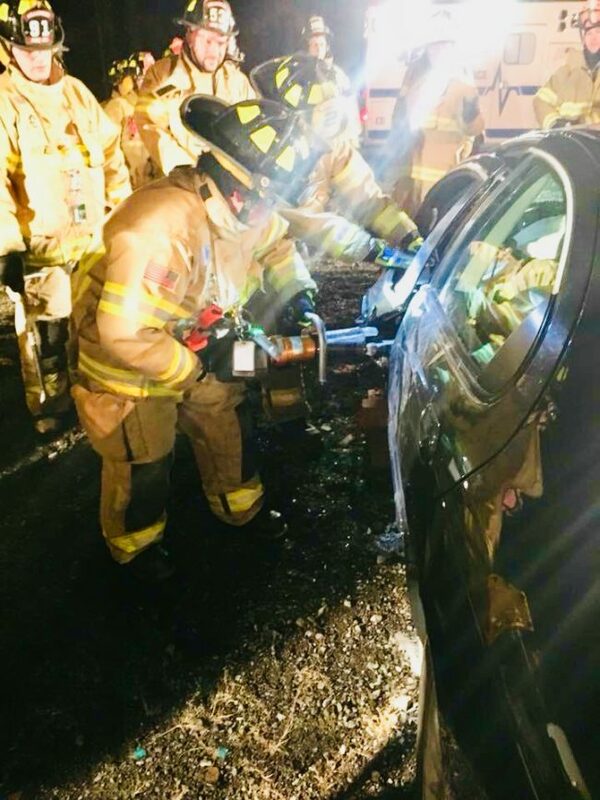 During our initial meetings, Captain Hendershot indicated that the maneuverability and the weight of tools with the power to defeat the new ultra-high strength steels now used in modern vehicles were among some of the biggest concerns shared by both he and his first responders. He stressed that any tools Hillcrest ultimately purchased would need to meet those important criteria. 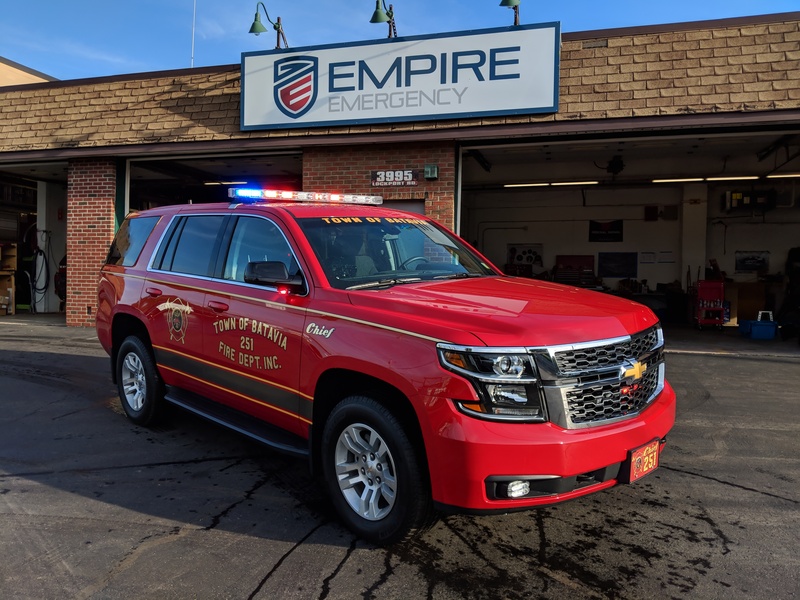 So we at Empire Emergency did what we at do best. 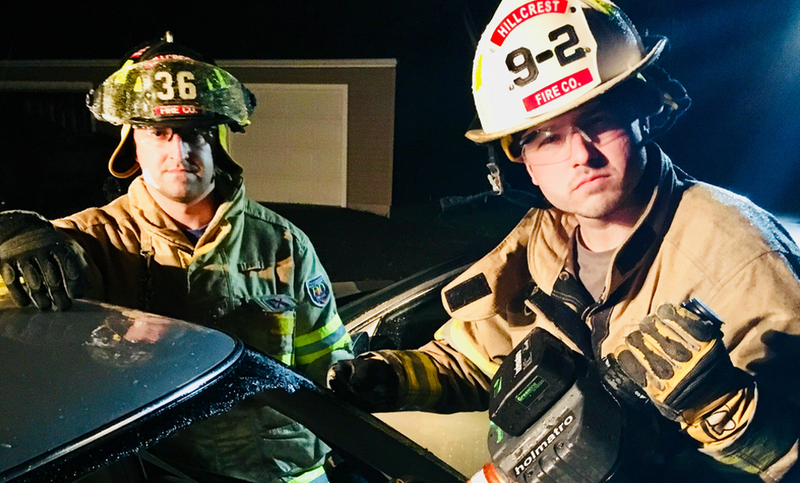 We backed up Holmatro’s manufacturer stats with a real-world demonstration that included the types of vehicles Hillcrest would be facing in a rescue scenario. 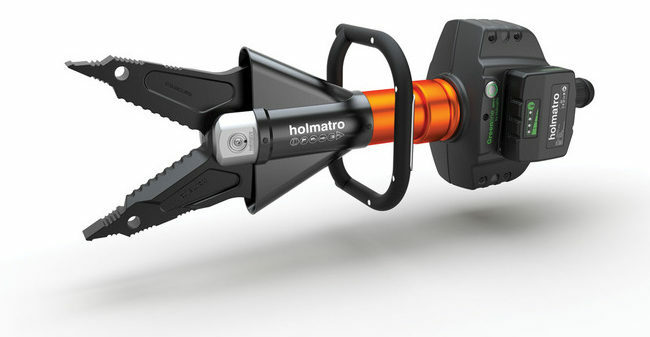 This is where Holmatro rescue equipment really stood apart from other rescue equipment manufacturers. 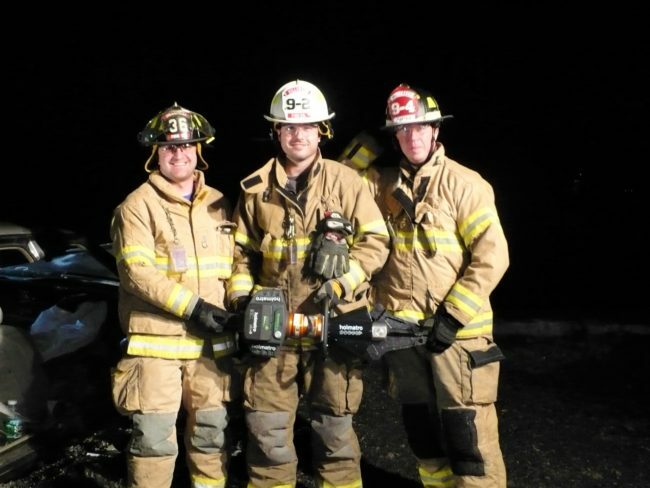 After testing and considering several different models and types of tools, Hillcrest ultimately chose Holmatro’s battery-operated GCT4150 EVO Combination Tool to best fit their needs. The EN13204-compliant GCT4150 features a 14” Spreading distance, over 85,000 pound-feet of cutting force, and an impressive 47,000 pound-feet of spreading force in a lightweight, compact package. 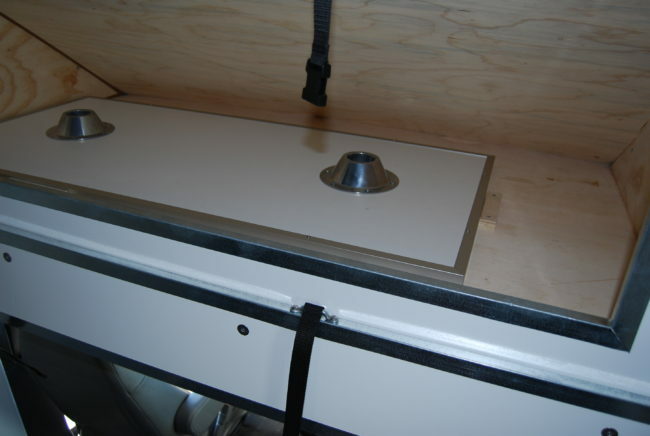 In fact, the complete tool only weighs 43 lbs. 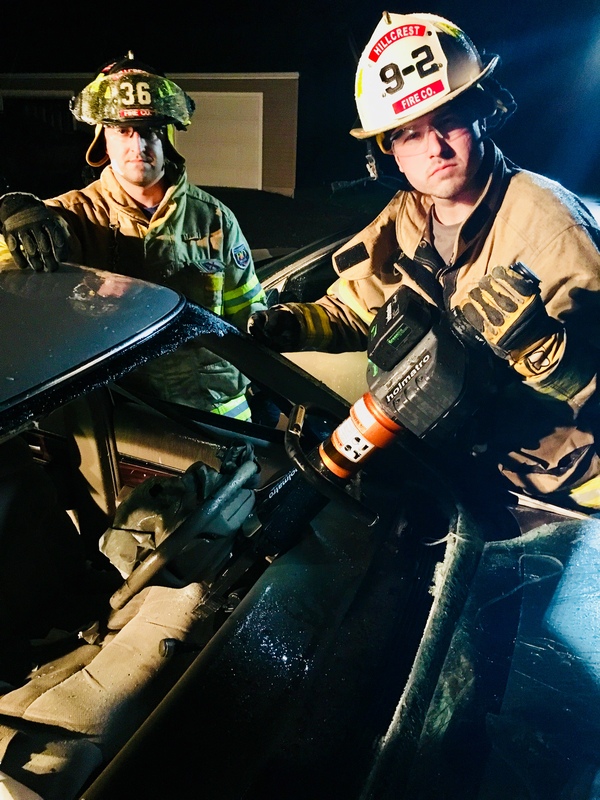 As a completely self-contained unit, Holmatro’s Combi tool doesn’t require any external equipment to function, which means the complete setup requires far less space in the rescue vehicle, and makes the device easily transportable to other vehicles if the need arises. 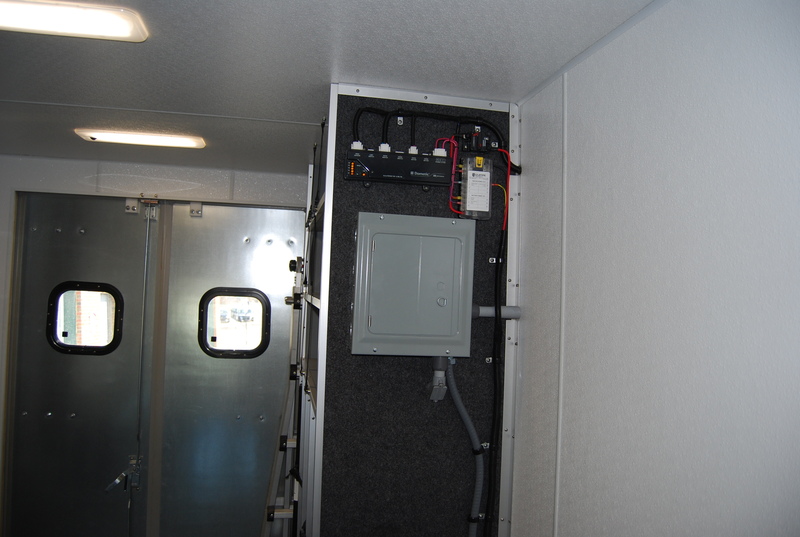 Now just because it’s battery-operated doesn’t mean Hillcrest compromised on power or capacity. Holmatro’s powerful 28-volt battery means that the GCT4150 can be used virtually anywhere, plus the device rated for over 40 min. continuous use. 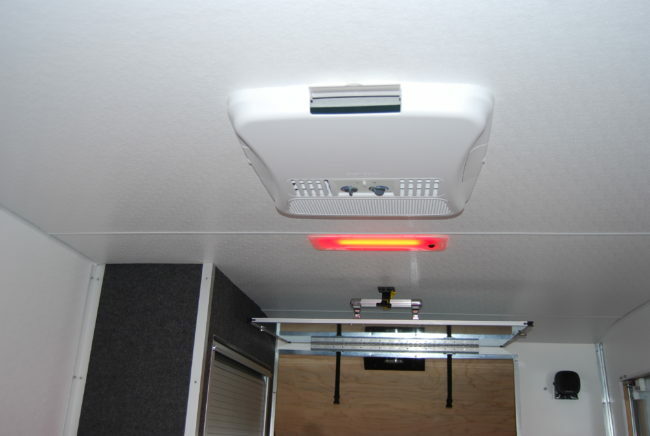 This makes it ideal for quick-responses and immediate deployment, allowing valuable time for more powerful equipment to arrive, if necessary. 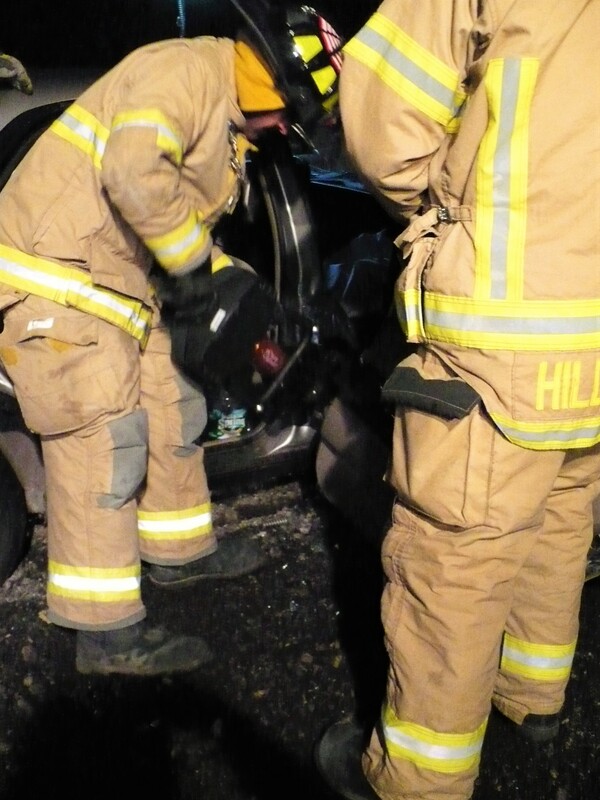 The only downside to this success story is that being first responders with a duty of care, it didn’t take long for Hillcrest’s rescue team to put their new tool to use, rescuing a passenger from her vehicle in a particularly intense collision just days after taking possession of their new rescue equipment. But being able to respond and deploy quickly meant that Hillcrest’s EMTs were able to extract the passenger and get her critical medical attention well within the Golden Hour. 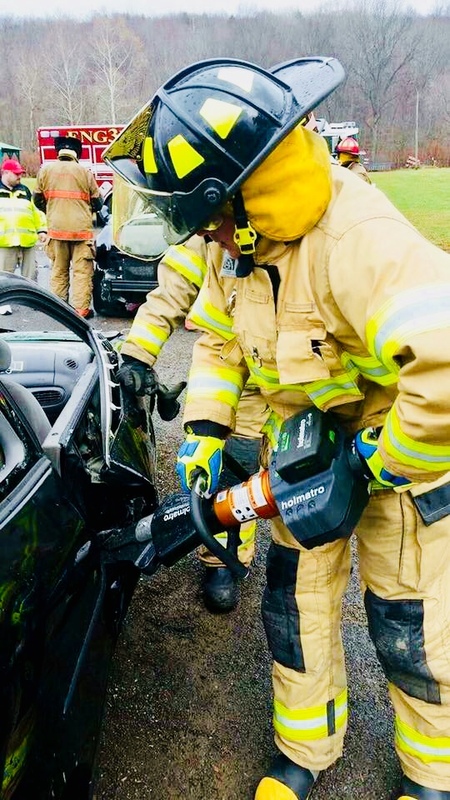 Hillcrest’s investment continues to pay dividends more than two years and many tool deployments later, as the Holmatro GCT4150 EVO Combi Tool continues to perform as well as it did the day it was delivered. 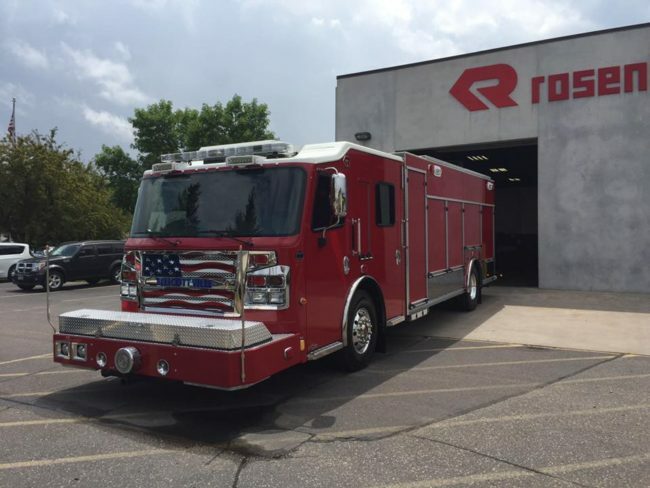 From emergency vehicle upfitting to custom fire apparatus manufacturing, Empire Emergency has been delivering rescue solutions to its customers every day that we’ve been operating since 2006. 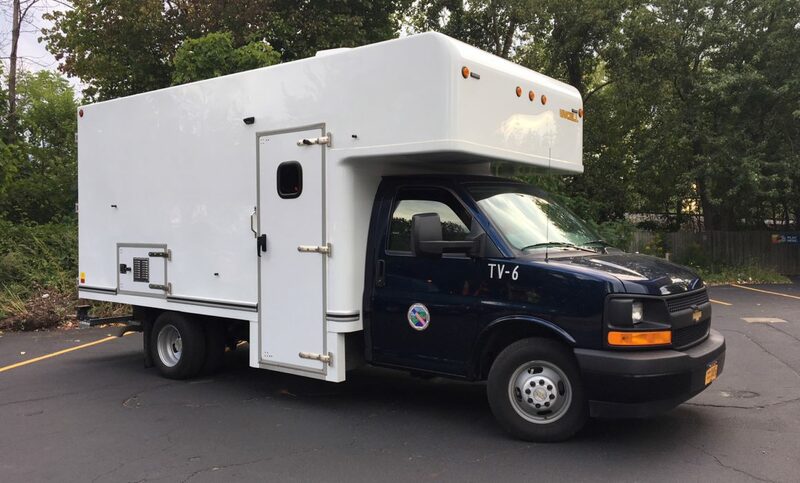 By matching our expertise with excellent equipment and then applying both to meeting our customer’s unique needs with safety, comfort, and functionality as the paramount concerns, Empire Emergency delivers Solutions that Matter on every single engagement. 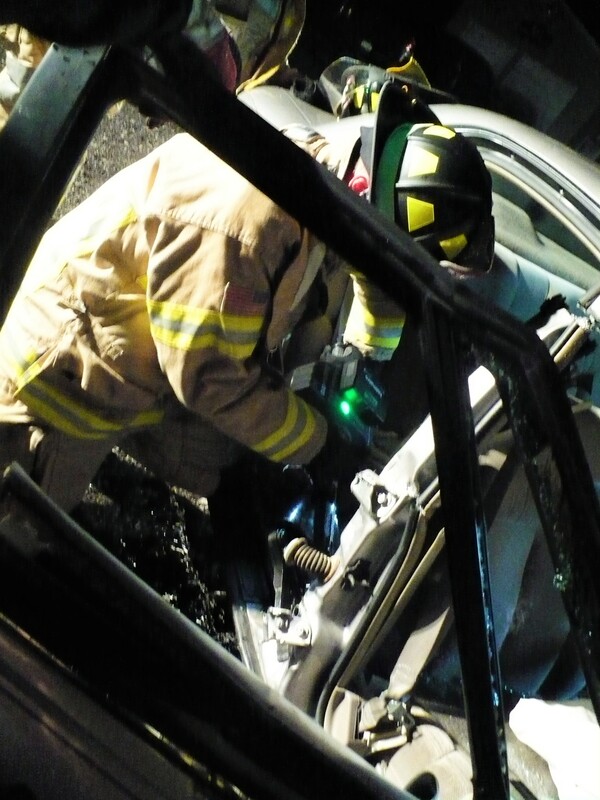 Holmatro’s patented i-Bolt system means flat, central bolt construction squeezing the blades together directly (no blade holder in between!) 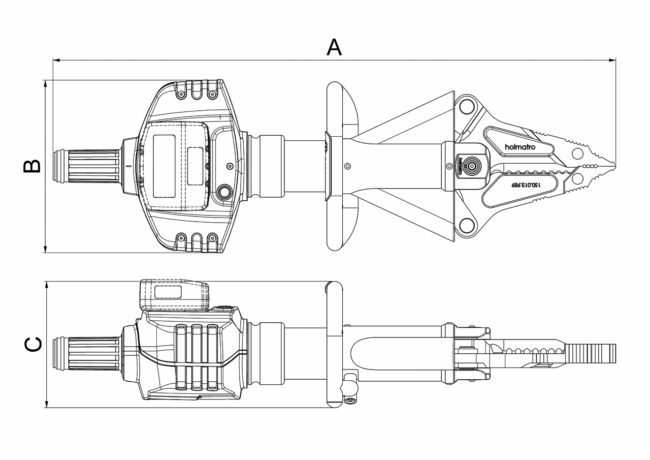 and more tightly, minimizing blade separation, maximizing cutting performance, and better access in narrow spaces. Zero emission device: healthier for rescuers and patients, and safe to use in enclosed spaces. Integrated LED lighting means that you can see your workspace, without the need for external illumination. 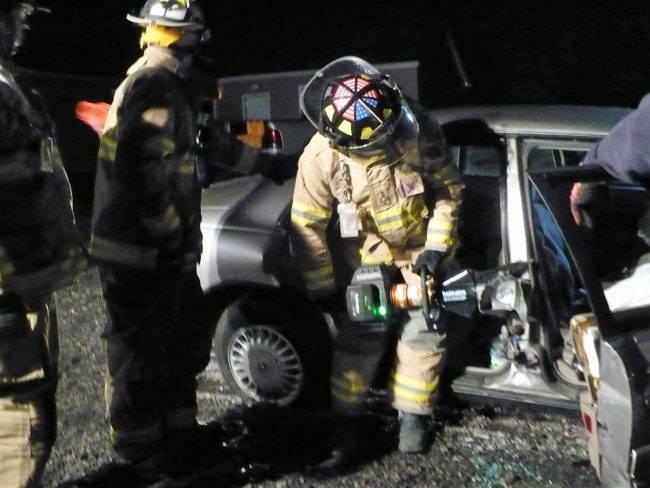 Meeting the needs of a volunteer fire department needing to do more with less, and in the end getting more. The Ellicottville FireDepartment (EFD) contacted Empire Emergency about three years ago, seeking a solution to an evolving problem that the entire Volunteer Fire Service is currently grappling with: the challenges of a dwindling roster. 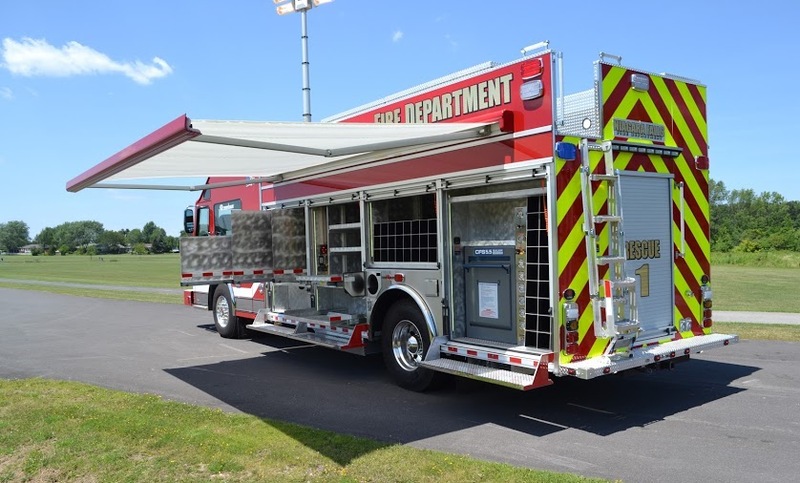 EFD faced the reality of needing to do more with less, but thanks to Empire’s ability to design custom fire apparatus, they ultimately gained so much more. 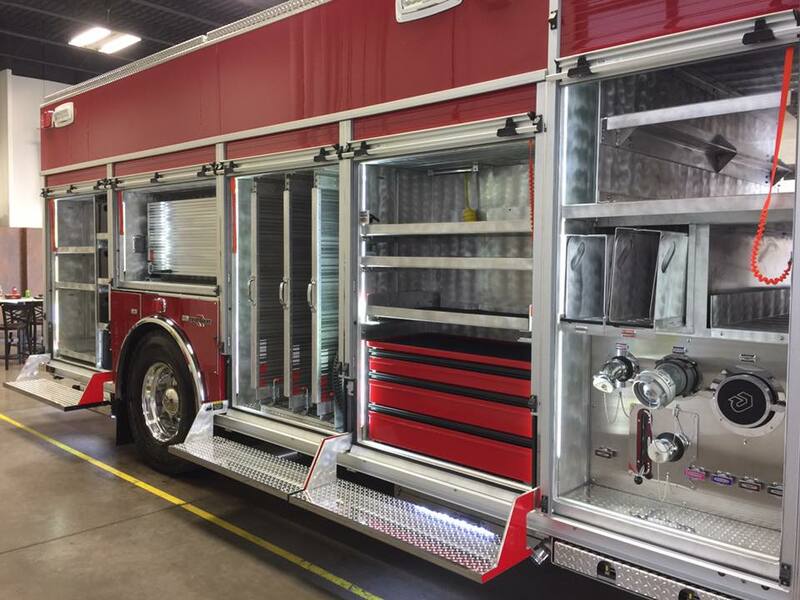 A long-time customer with a Rosenbauer Tower in its truck bay, the EFD had a good idea of what was required but needed expert input to customize and execute fire apparatus equipment that would suit their growing needs. 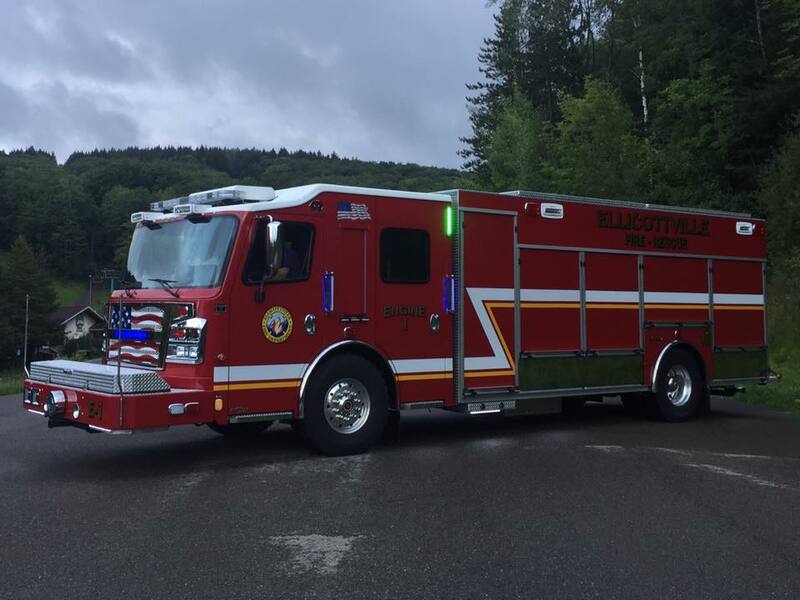 Again, looking at doing more with less, EFD sought to successfully consolidate two pieces of fire apparatus into one: meshing a pumper and heavy rescue into one multi-use vehicle. Empire and Rosenbauer, one of the world’s leading fire truck manufacturing companies, enthusiastically accepted this challenge. 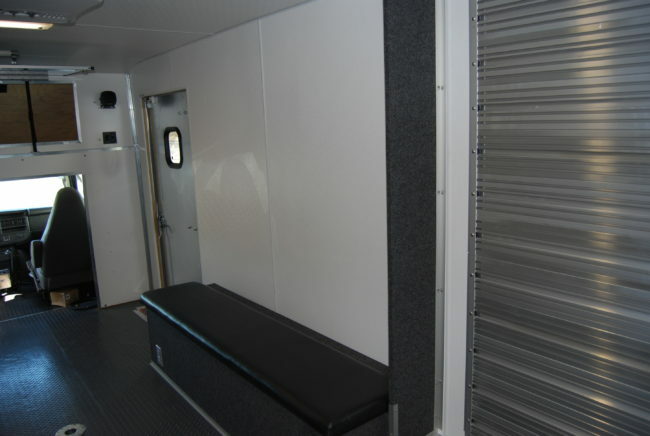 But this project did present some concerns — specifically accommodating adequate storage and compartment space. When consolidating a heavy rescue and a pumper into one, a lot of essential equipment comes into play, and it all needs its specific place. The tools of the trade, even if used only once or twice a year, are all critical and must be readily accessible in custom fire trucks. 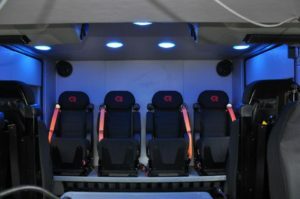 Understanding the manner and urgency in which EFD responds to fire and rescue calls, we designed a truck to its unique specifications, optimizing compartment space by decreasing the number of the seats within the cab. 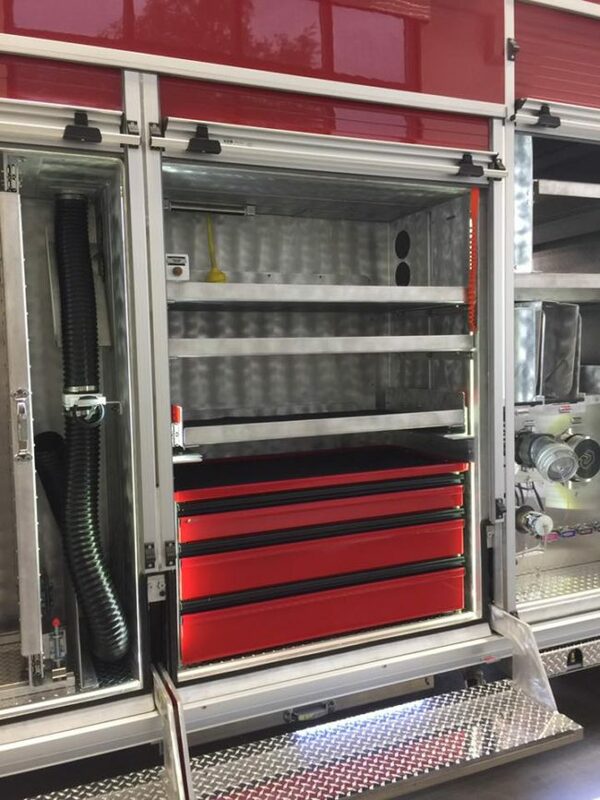 We maximized compartment layout by using the Rosenbauer EXT body, which offers an integrated shelving track within the large extrusions forming the body compartments and complete customizing capabilities. The EFD Rosenbauer EXT Rescue Pumper is designed as a 4-man cab. For ease of use by the officer and driver, a multiplex electrical system and screens were installed on the apparatus, making for a user-friendly operator environment. Knowing the weather challenges of Western New York State, and especially Ellicottville, where snow can fall quite heavily, we incorporated hot dipped galvanized frame rails onto the chassis to allow for lifetime corrosion protection from harsh wintertime road treatments such as road salt and liquid chloride solutions. The fire apparatus body is where most of the customizing came into play. 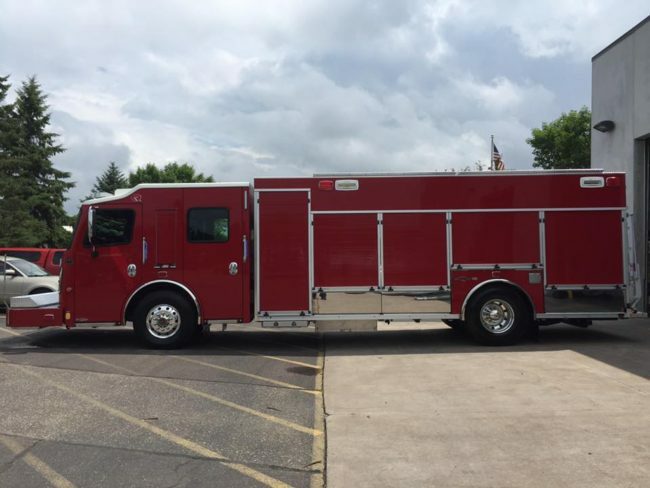 Designing a truck utilizing the Rosenbauer Heavy Duty EXT body (with its life-time transferrable warranty) allowed us to build exactly what EFD needed in a Rescue Pumper. 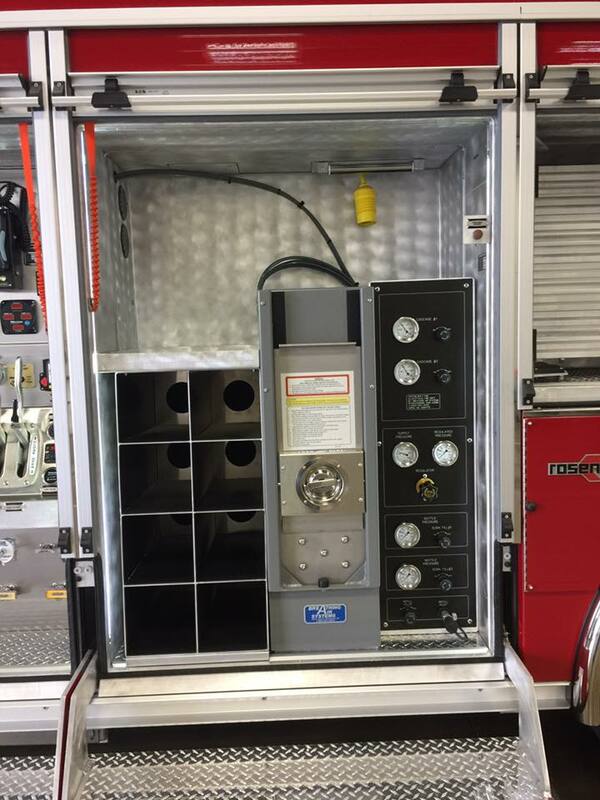 Compartmentation was optimized by incorporating Rosenbauer Safe Scene, which allows access into the upper portion normally not reachable from the ground. Best-fit placement for cascade system air bottles also optimized the limited space. 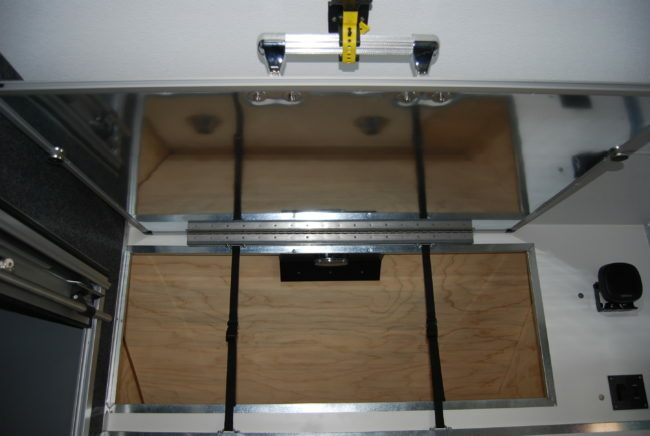 Electrical and hydraulic reels were mounted in coffin compartments and extended down through side compartments, for more usable storage space. 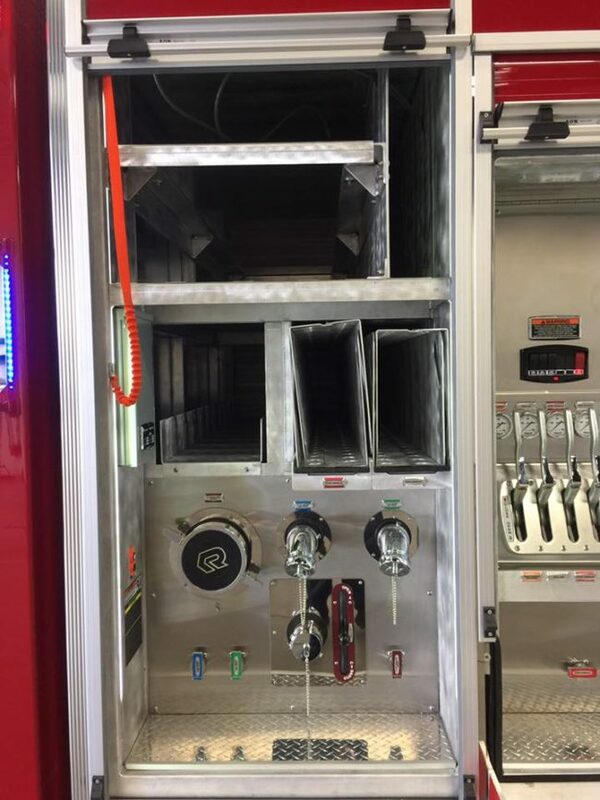 Toolboxes and boards, slide shelves and trays were all integrated into the apparatus layout to ensure adequate storage for all essential equipment. Empire Emergency met, accepted and overcame EFD’s challenge! 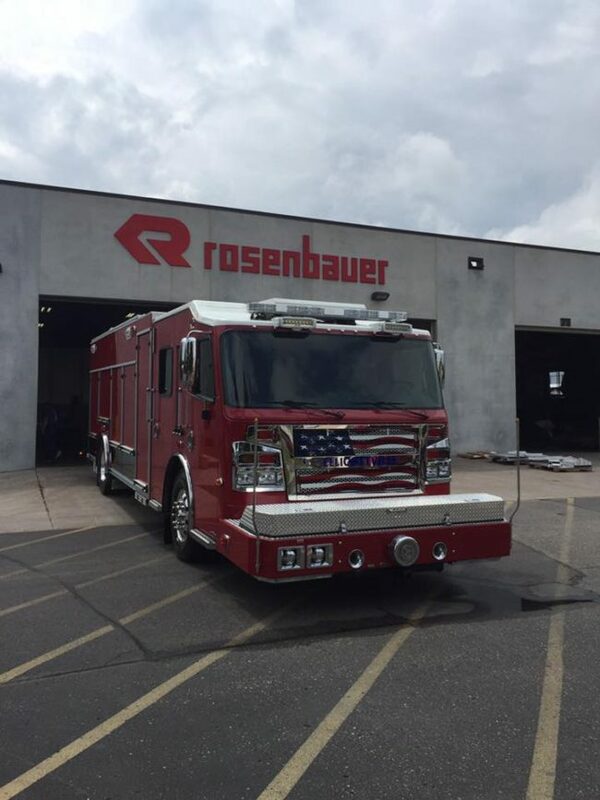 Today, the department is running its Rosenbauer Rescue Pumper as a first out apparatus handling the majority of fire and rescue calls. 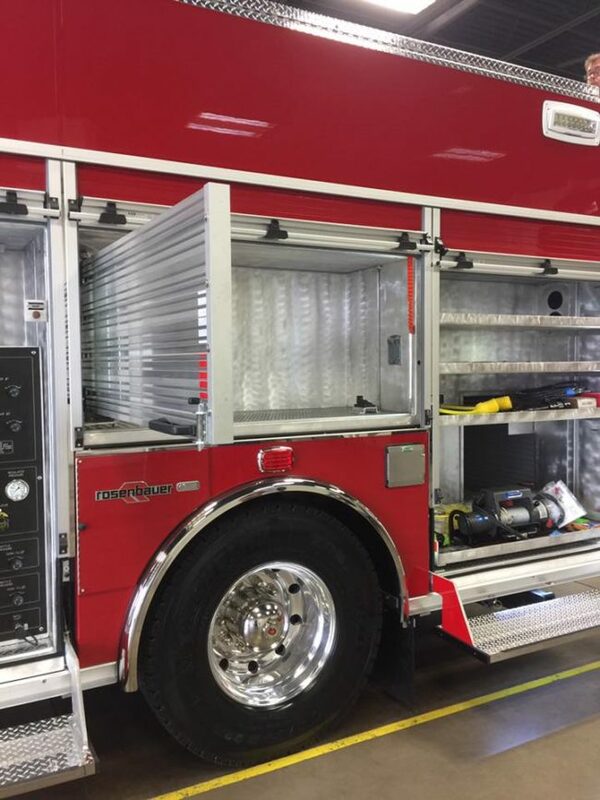 It was designed and expertly executed to meet their demands, and EFD actually has more compartment space on the new truck than they did previously with two! Our goal as emergency vehicle outfitters is to provide our customers with a truck that functions exactly as it was designed to do. And when our customers are happy, then we’re happy, too! 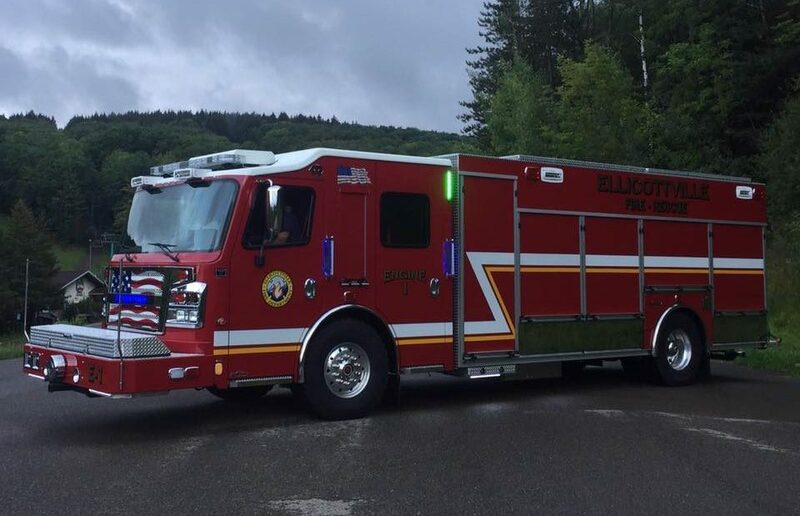 The Empire Emergency team would like to extend a heartfelt thank you to Chief Ed Fredrickson, and Assistant Chief Rob Germain for their hands-on involvement in seeing this project through to its completion. 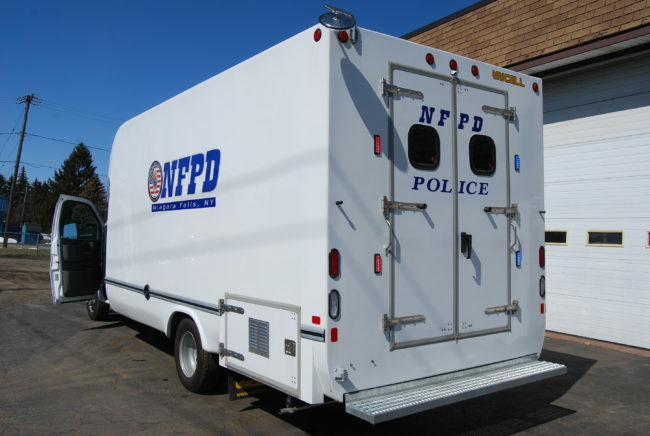 Specialized SWAT Operations demand a custom upfitting approach. 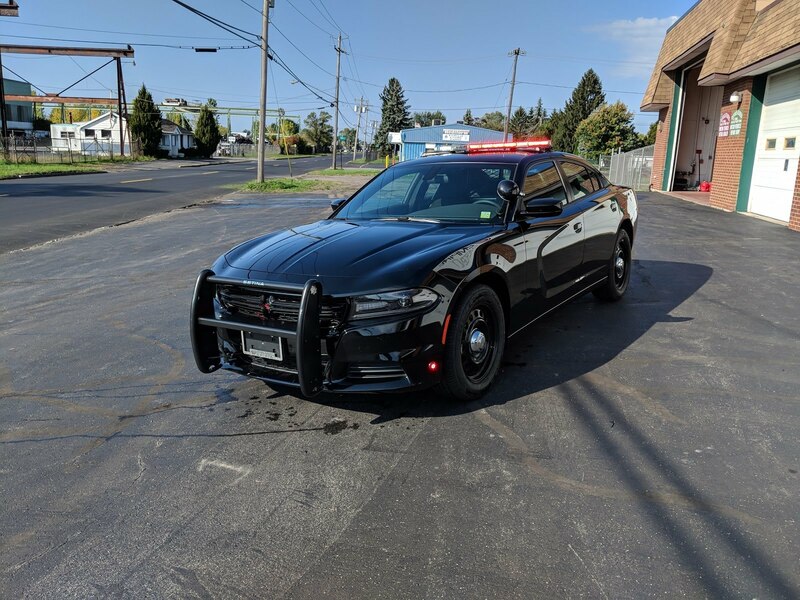 When Captain David Kok of the Niagara Falls Police Department approached us about a new auxiliary SWAT vehicle for his department, he shared some of the challenges he was facing with other emergency vehicle outfitters in placing the job. His greatest issue: their quotes to deliver what he needed were far greater than his budget. 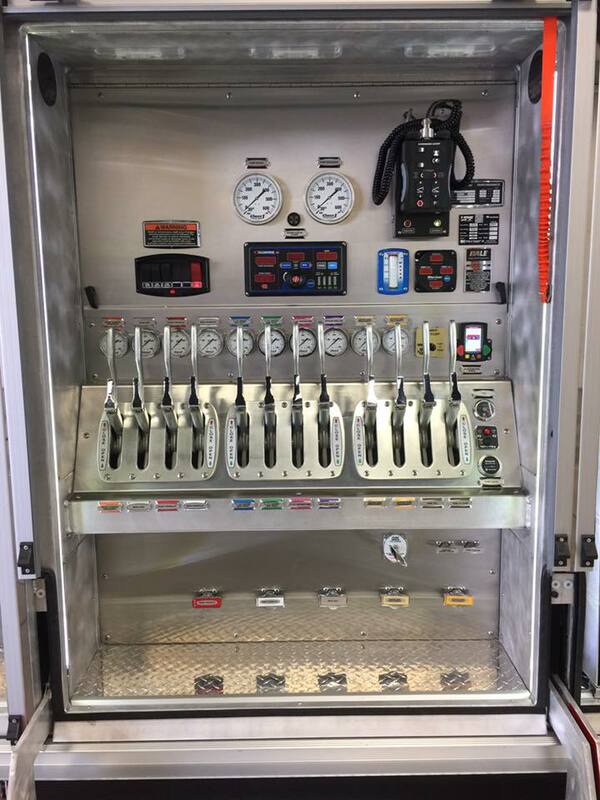 Empire uses state of the art tools in planning every emergency vehicle upfit. Honestly, we can’t blame them. 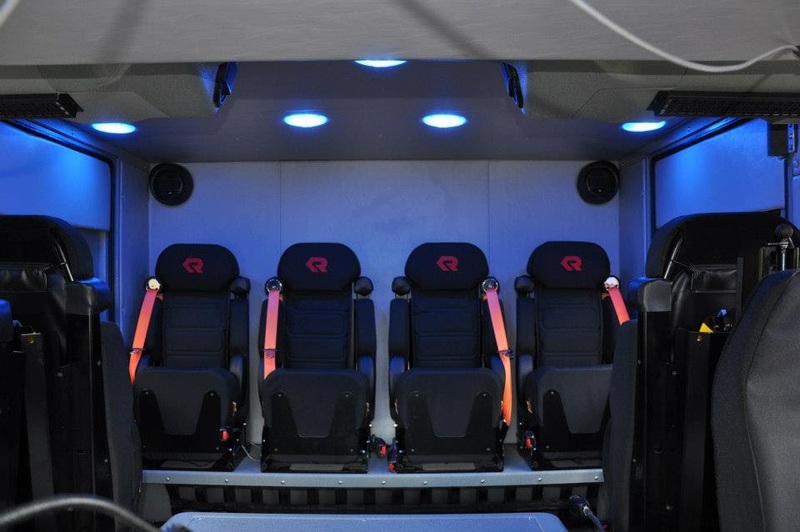 Manufacturing a SWAT vehicle that’s effective in field operations is a specialized undertaking and quite unlike other police vehicle upfitting projects. 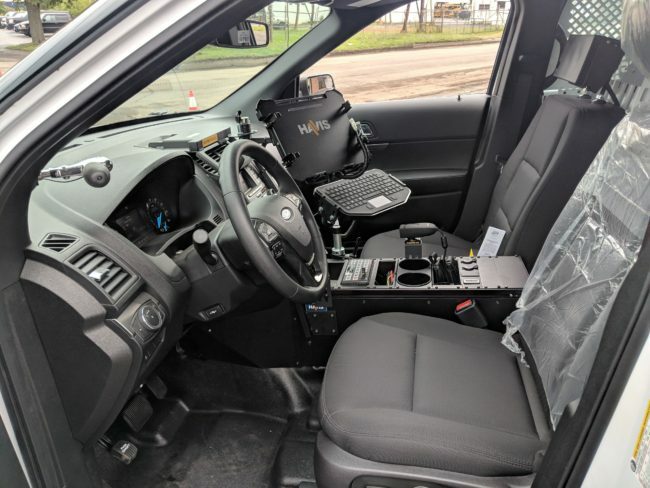 More than simply being a mobile office like a police interceptor, a SWAT (or Special Operations) vehicle serves the purposes of officer transport, conference room, situation room, surveillance post, armory, and mobile fortress. But creating custom upfitting solutions within a budget is something of a specialty of ours, so I put our upfitting specialists to work on the task of giving David what he needed without busting his budget. 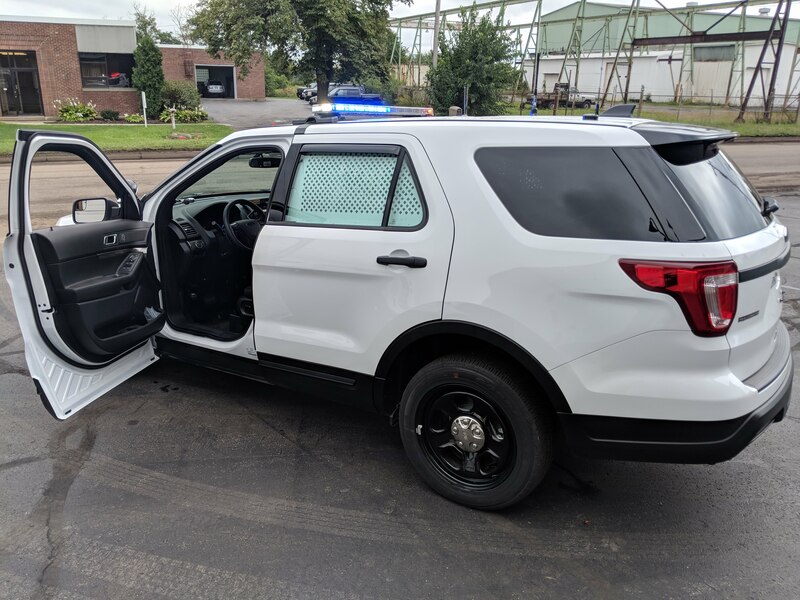 This is where our close relationships with a variety of emergency vehicle equipment suppliers that manufacture top-quality police car equipment becomes extremely useful. Because we aren’t wedded to a single manufacturer, this allows us to assess our customer’s unique operational requirements, then select the best available law enforcement vehicle equipment that meets each one of their needs and specifications at a price point that’s far lower than what other emergency vehicle upfitters can provide. 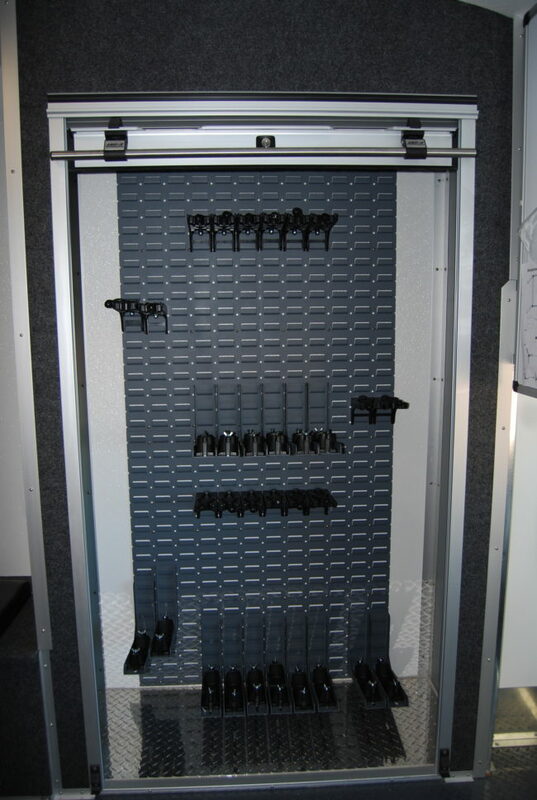 We ultimately developed a solution that included Secure-It rifle mounts, an Amdor Locking roll-up door, lift-up bench seats with storage, crowd shield storage, a PAC board wall with custom mounts for securing forcible entry tools, storage for a small ladder, weapons storage, tactical lighting, a collapsible conference table, and drop-down dry-erase board, all within a custom Unicell body. 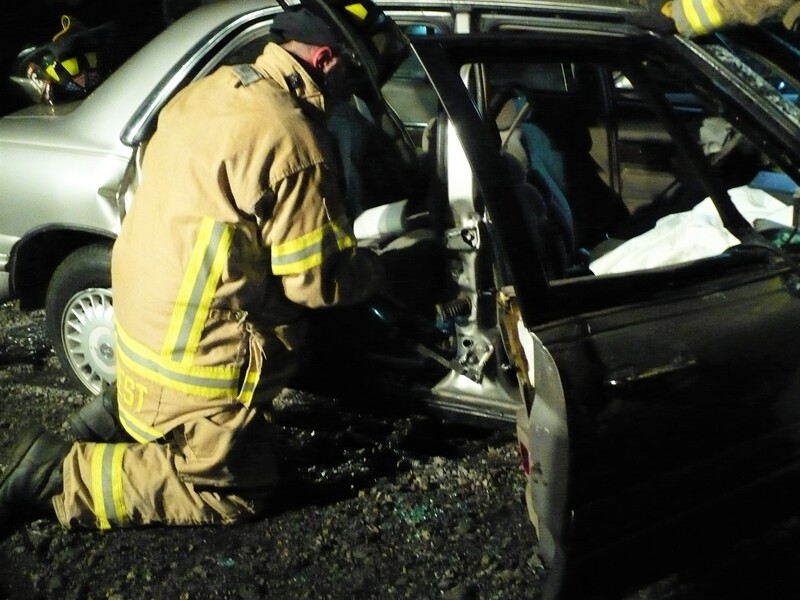 We were even able to work in an external powered awning to protect his team from the elements whilst staging outside the vehicle. In short: we delivered everything the Captain needed for his team (and then some). And yes, we did it within his department’s budget. This is the sort of thing we do every single day that we’ve been operating since 2006. By working closely with our customers, knowing their budget, thinking creatively, and then applying our expertise to meeting their needs with safety and comfort as the paramount concerns, we are able to deliver Solutions that Matter on every single project. Thank you Captain Kok! We are delighted to be of service. Copyright Empire Emergency 2018. All Rights Reserved.